At the same time, he presented his own studies and interpretations of critical Ontological and Eschatological issues. 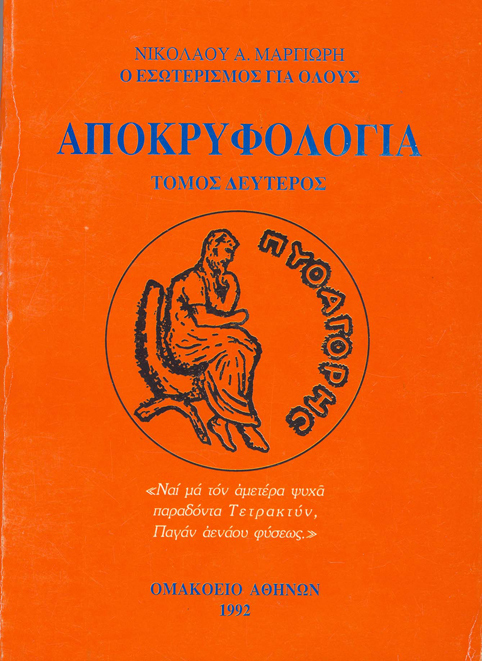 He regularly conveyed his thoughts in theoretical and practical ways by which the modern Greek and the modern man could redefine his spiritual path and evolution in the contemporary Greek or global environment of corruption and social disintegration. His contribution is engraved in his 189 writings and in his multi-faceted and invaluable preserved verbal testimonies and teachings. Nikolaos A. Margioris was born on December 15th 1913 on the island of Samos and from a young age he settled in the Greek Community of Alexandria (GCA) that was flourishing in those days. The most creative part of his life was spent in the Alexandria of Cavafy where he was exposed to the multicultural civilization of the city. Furthermore, he spent many years in India and Tibetwhere he basically studied Buddhism, Yoga and was trained in Meditation. 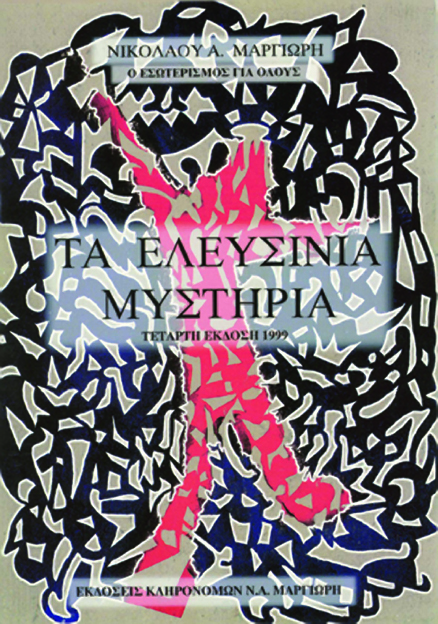 In 1958, he returned to Greece where he developed and promoted his work. In Egypt, N. Margioris became acquainted with the mystical philosophy of Helena P. Blavatsky (Helena Petrovna Blavatsky) that is proposed in her books Isis Unveiled and The Secret Doctrine. Given that eastern metaphysical views constitute the basis of western mystical philosophy and in his effort to comprehend the depth of eastern philosophy, he was guided to India and Tibet where he was trained for many years in ancient Brahmanism, the Vedas and Upanishads of Hinduism, in Raja, Jnani, Karma, Bhakti, Kriya and other forms of Yoga as well as guided on the path of the elders of Buddhism. It was there that he met his contemporary Jiddu Krishnamurti (he spent most of his life in the United Kingdom). They often discussed the connection between Theosophy and neo-orthodox mysticism. 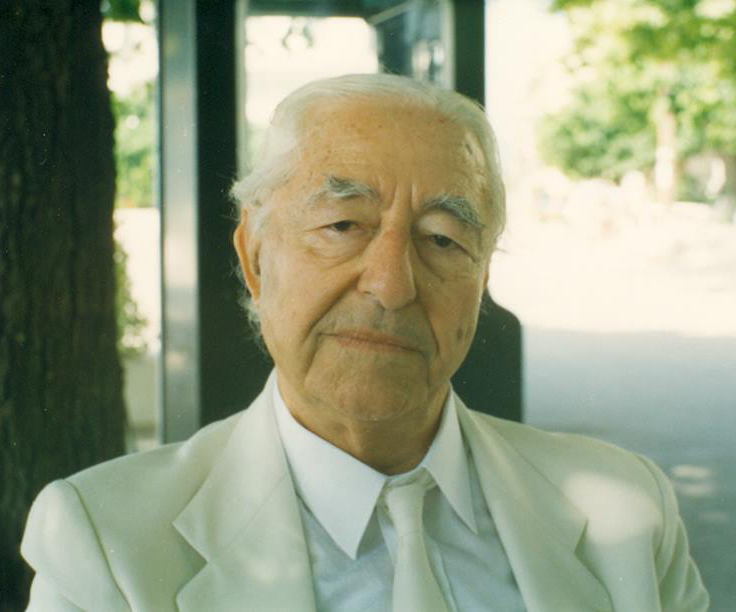 The catalytic influence of Krishnamurti in the early years of the master guided him to collaborate with Kostas Melissaropoulos, the late philosopher and theosophist. Later, he developed a different view concerning the work of Krishnamurti. In pre-war British Egypt, he participated in study groups of eastern philosophy and its development into European Mysticism. Apart from English and French that was spoken by every Greek in Egypt, he also learned Sanskrit, Arabic, Hebrew and Hieroglyphics. His first master and educator in Alexandria was the great Alexandrian Mystic Krino Salvador de Kastro (his father was from Corfu and his mother was Hungarian, a relative of the great composer Liszt). Also, the name of his Indian master was Baba. He fought in World War II as a reserve officer, where he was seriously injured in El Alamein and in Rimini. For his services to the country he was honored with many medals (it is worth mentioning the GRAND CROSS) as well as with the veteran’s disability pension. Being a Greek Orthodox, he also tried to explore the connection between the orthodox movements of monasticism and mysticism in the deserts of Egypt in the 3rd and 4th centuries after Christ and eastern metaphysical philosophy. Christopher II, the blessed Patriarch of Alexandria, guided him in these philosophical quests and set him to work for years at the orthodox libraries of the Alexandrian Patriarchate and Saint Catherine’s Monastery in the Sinai Desert. He had hour-long conversations with his student, he honored him with his friendship and he awarded him with the cross of Saint Marc, for his contribution to the Church and the Alexandrian and the whole African Patriarchate. The same happened with Nikolaos the 6th, the subsequent blessed Patriarch. Furthermore, he became acquainted with and embraced neo-pythagoreanism and neoplatonism and he evolved into a staunch supporter of Iamblichus and Porphyrios, the Greek-Alexandrian neoplatonic philosophers but most of all of Ammonius Saccas and his student Plotinus, as they had already from the 3rd century AD combined neo-Pythagoreanism with eastern philosophical quests. 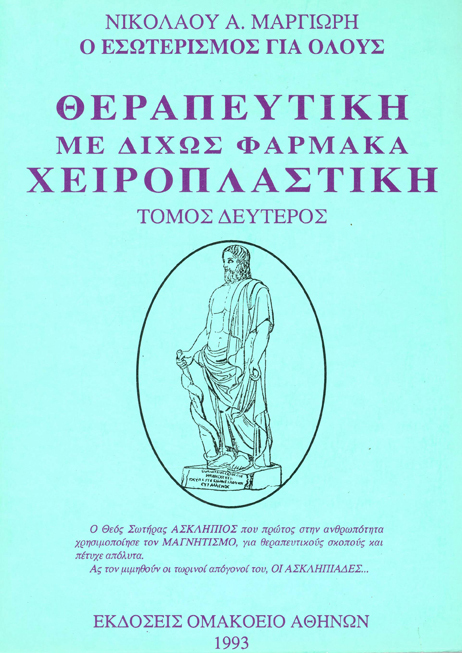 His love for these philosophers and their work, and especially for Pythagoras, inspired him to establish Schools by the name of OMAKOIO (from omou which means together and akouein, which means we listen to a Teaching) in Alexandria (1946), in Athens (1976), in Lamia (1990), in Trikala (1992) and in other Greek cities. From 1972, he had already established the Association of Saint Patapios in Athens, where he unfailingly held free public open speeches. 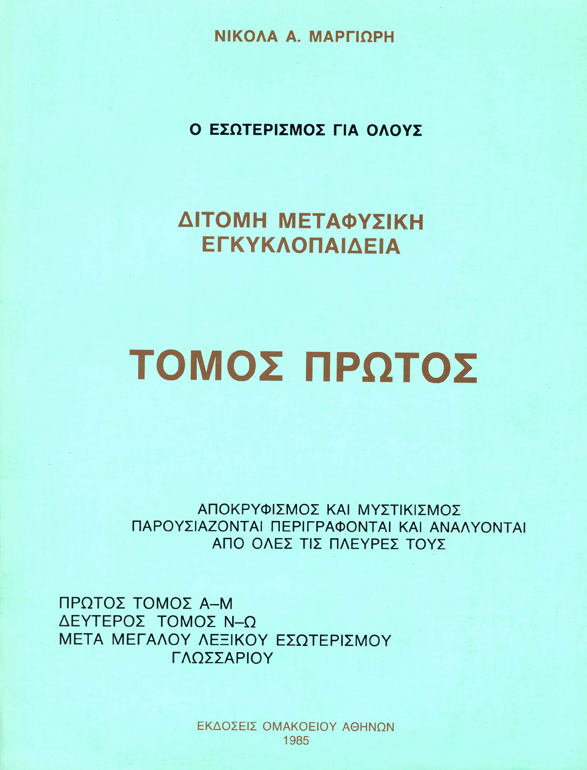 He Expired in 1993 in Athens, being fortunate enough to be surrounded by his numerous students who continue to disseminate, preserve and analyze his oral and written work. 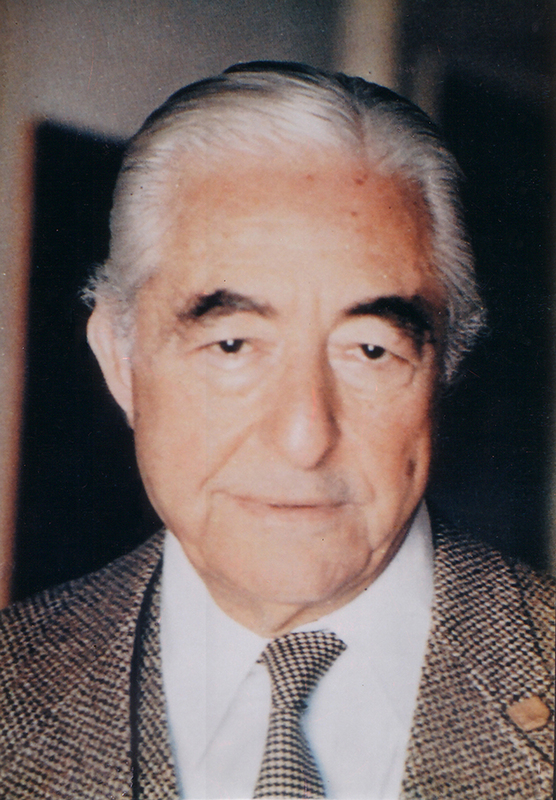 N. Margiori’s lived the metaphysical philosophy from a young age and his enthusiasm spread to his students. 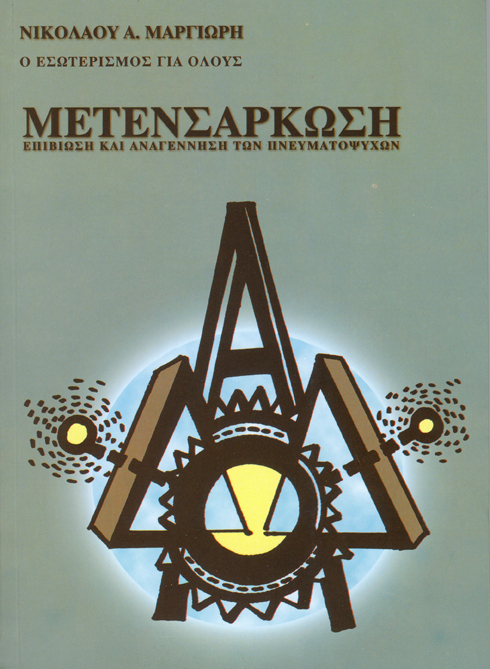 In the introductory note of the interview that he gave to the magazine Third Eye (December 20, 1992-issue 20) he was characterized as ‘The Patriarch of Greek Metaphysical Philosophy’ and it was the first and last public appearance in his life. 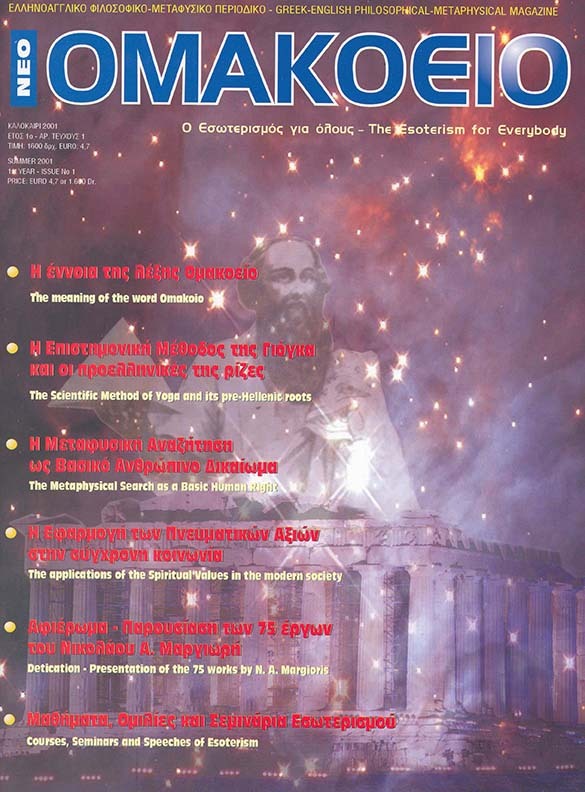 One more extensive presentation dedicated to Greek Mystics was published in Avaton magazine (October 2002-issue of September) while similar presentations have been published on websites and writings related to his work. 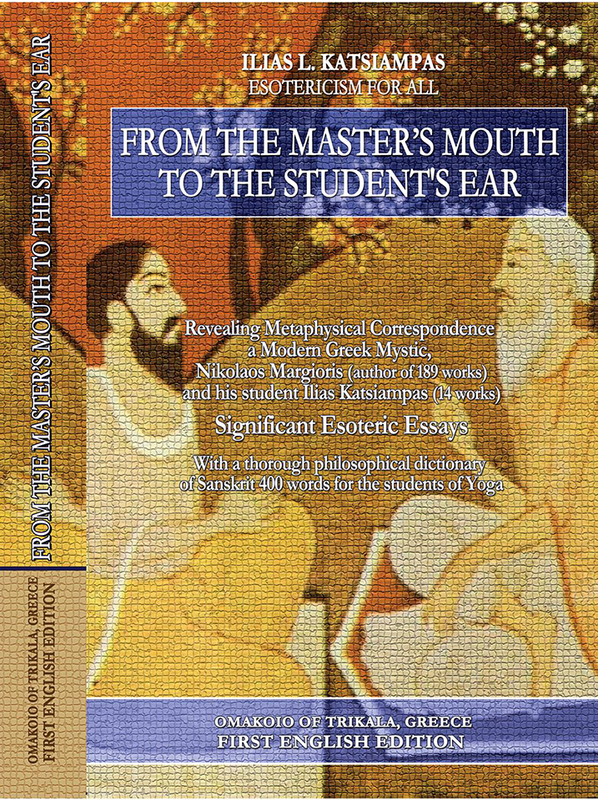 The “Master” as he was called by his students all over the country, was an enlightened leader for thousands of Greeks in the miraculous world of eastern philosophy and ancient Greek and Christian theory because of his efforts to detach them from the neo-Greek materialism, the extreme cynicism and the perpetual quest for the chimera. 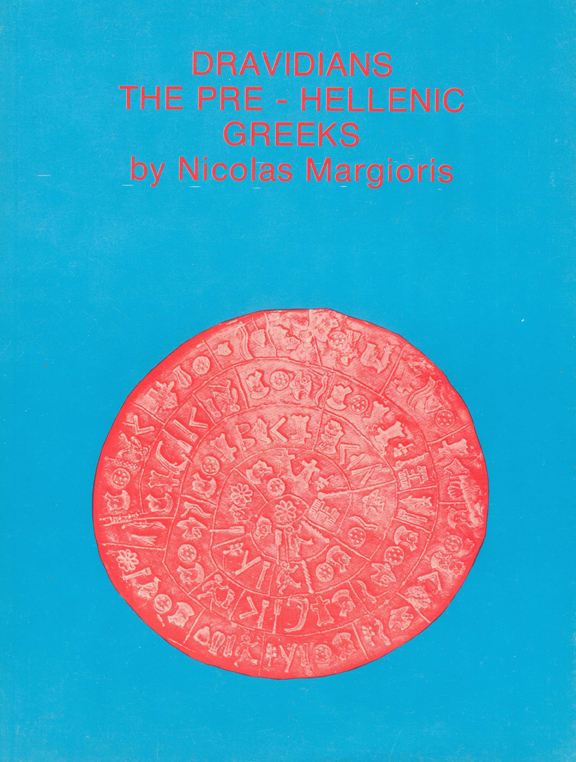 Nikolaos Margioris was a uniquely-gifted modern esoteric experiential personality, of multiple talents and of unprecedented dynamism and productivity, who noiselessly passed the threshold of our country, delivered the quintessence of integrated spiritual experiences that summarizes the interaction of a metaphysical worldview in the oriental cultures and the ancient Greek, Hellenistic and Christian Orthodox view of life and death. 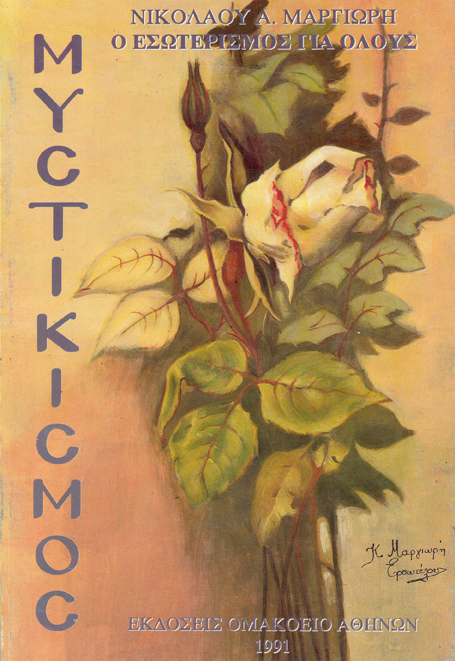 His written work could be divided into historical, ancient Greek and mystical, scientific books, books of alternative therapeutics, of Yoga systems and their practices as well as mysticism, occultism, esoteric theology and philosophy, desymbolism of Greek Mythology, meditation, ancient Greek Asclepian massage and hypnotism, scientific spiritualism, philosophy of Astrology and so on. Moreover, 16 years after his physical end many reputable authors and researchers have repeatedly consulted and derived material from his writings with specific references in their literature. Already many of his writings and books have been translated into the English language. He left behind a prodigious and diachronic wealth of reserves (theoretical and practical) for study and exploitation. If it were possible to print his work in respective documents, they would probably be comparable in volume to the works of Adamantios Orighenis. In fact, for the preservation, safekeeping and promotion of all this invaluable material, his representatives and his students are considering the establishment of an ACADEMY for the study and dissemination of his work. 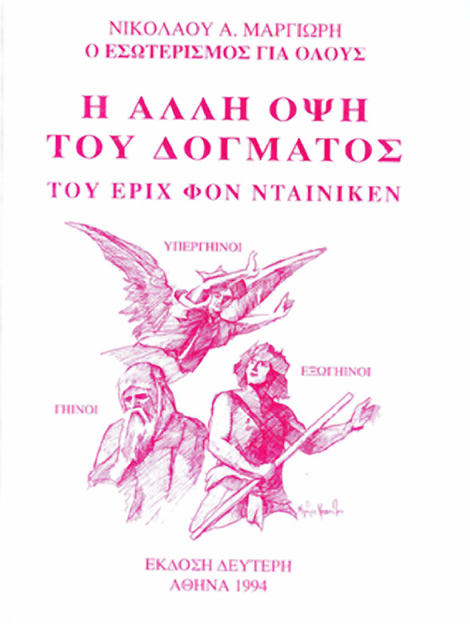 The first Academy was established by his students under the leadership of Ilias Katsiampas in July 2012 in Trikala by the name “Yoga Academy of Nikolaos Margioris-Omakoio”. 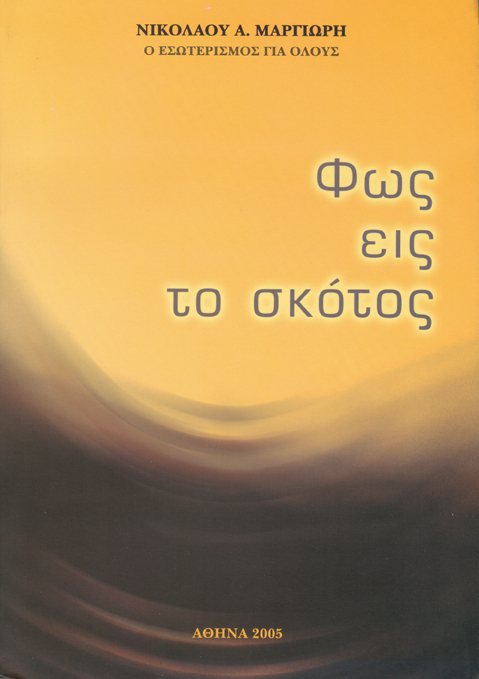 His philosophical and practical work is continued in the Omakoio Schools that he founded as well as in the newer Schools that were established after his death in Greece, while his writings are promoted by his natural heirs. Finally, his teachings are continued by his students as is the publication of newer books based on his personal verbal testimonies and teachings. 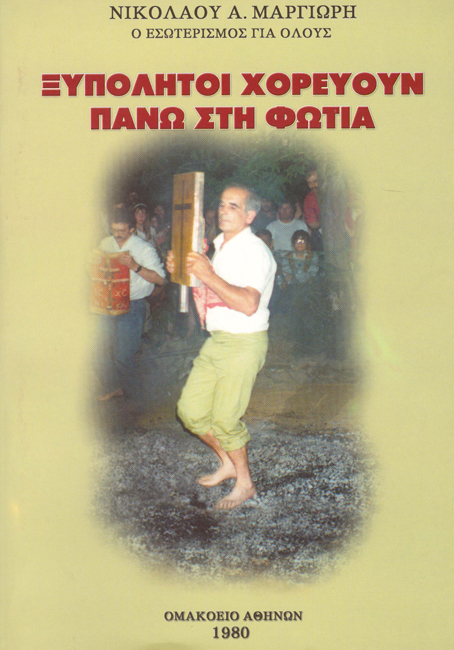 * We must express our special thanks to the son of Nikolaos A. Margioris, Andreas N. Margioris for his contribution to the creation of this biography. 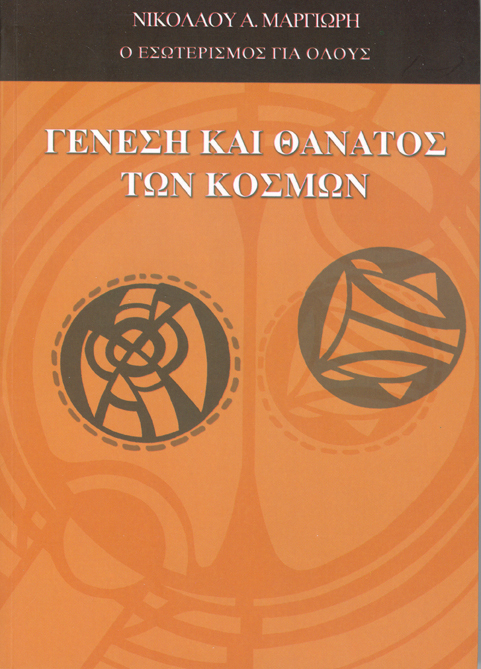 Finally, we thank the student of the OMAKOIO of Trikala, Vivian Doufa, for her translation of this biography from Greek to English. 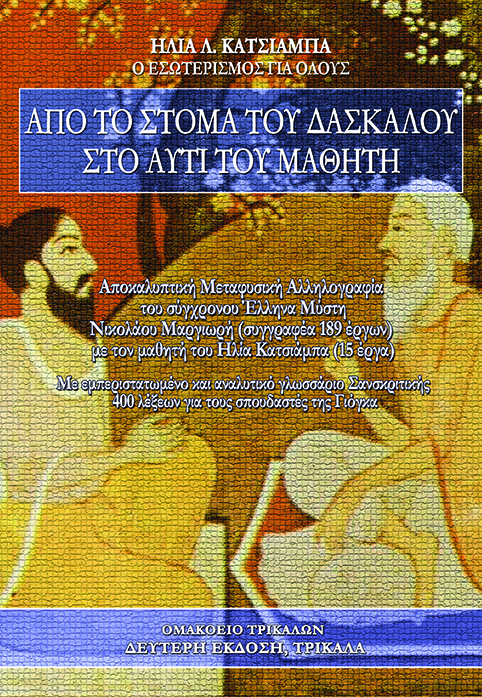 Nikolaos A. Margioris was deeply knowledgeableabout easternreligions, including Hinduismand Buddhism,as well as modernEsoteric Philosophy and Metaphysicsand their determinative interaction with the classical Greek and Hellenistic education and the contemporary Orthodox movements such as monastic mysticism and others. The philosophical system that he created is above all Helleno-Centric and is based on a fully experiential esotericmetaphysicaleducation combined with all these philosophical systems in a flowing unity. He popularized the wealth of this knowledge through his modern, explanatory, simple and truly elegant way of speaking. He deeply believed that every human being could become connected with the roots of his existence and his inner self, using a meditation system based on the classical Socratic stochasmos (meditation), on the absolute concentration of Hindus, on Christocentric Mysticism and on more current psychoanalytical findings all combined to suit the idiosyncrasy and the individuality of every individual. He personally presents this work in 189 philosophical and practical writings (34 books, 34 special essays, 49 issues of the Omakoio magazine and 7 treatises of metaphysical courses that contain 10-11 different lectures). It is worth mentioning that his salvaged oral presentations constitute an extremely important and notable treasure grove of philosophical and practical material that is still unexploited. 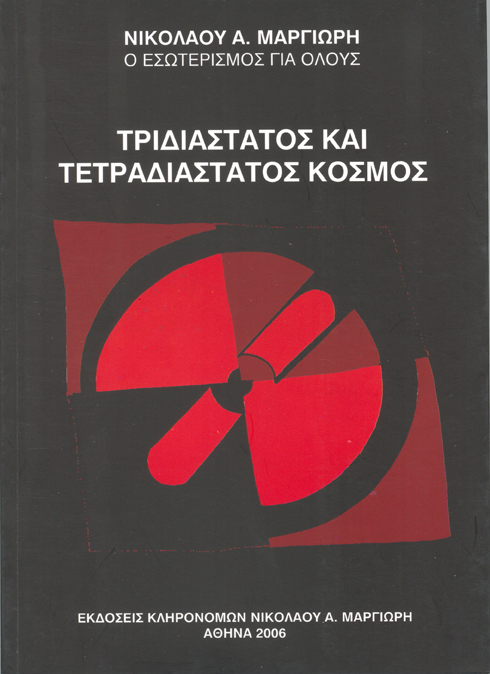 (*) Ilias L. Katsiampas is a professor of physical education (TEFAA), a journalist and the author of 5 books and many studies, the editor of a magazine as well as the publisher of a daily political newspaper in Trikala, THE SEARCH. 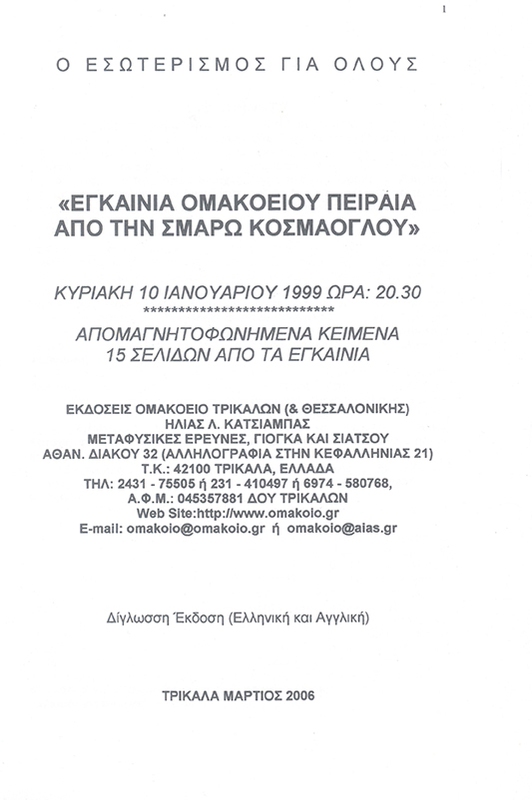 For a decade, he was a student and partner of Nikolaos Margioris as well as the founder and director of the neo-Pythagorean philosophical schools the Omakoio of Trikala and Thessaloniki and president of the Association “Yoga Academy of Nikolaos Margioris-Omakoio”. He is married to Sophia Skoumi and he has two children, Lampros and Maria. He lives and works in Trikala, Greece. 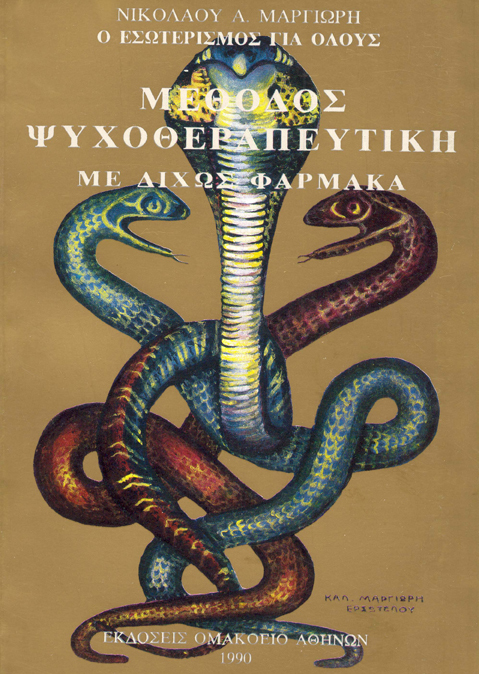 Nikolaos A. Margioris (15/12/1913 - 6/5/1993) constitutes one of the greatest and most prominent figures in the area of Esotericism (Occultism and Mysticism). 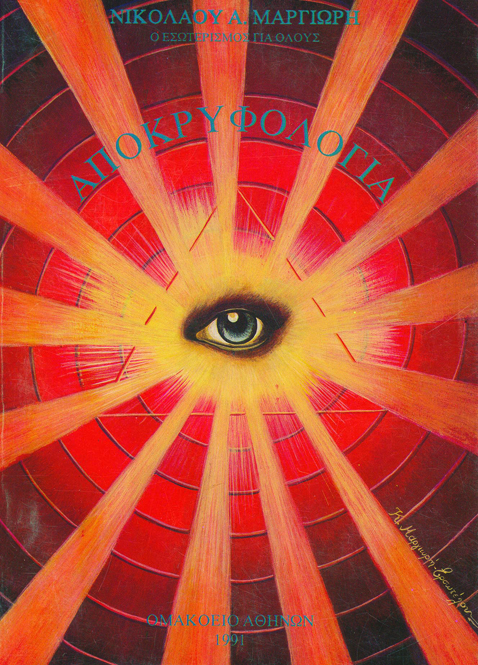 He is not only a recognized, but a fully-experienced Metaphysical Omni-Scientist-Master who was characterized as ‘the Patriarch of Greek Occultism’ in a relevant interview of the journal Third Eye, in its December 1992 issue. This was his first and his last public appearance. 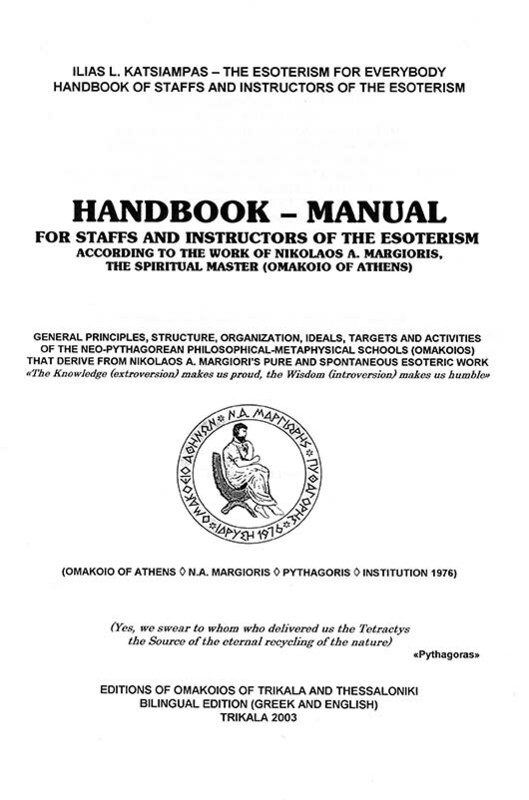 Therefore, this is in memory of Nikolaos Margioris, who was a great Christocentric and Christocratic Mystic and modern Initiate, and we, a group of his closest students who followed him the last few years and were lucky enough to be taught the deep elements and aspects of the Universal Truth, to enrich our Occultist and Mystic Knowledge and to receive a part of the abundant LIGHT that he spread around him, feeling gratitude and sincere, not fanatic Love for him, would like to inform every seeker of the Truth, about the Master's life, personality and work. 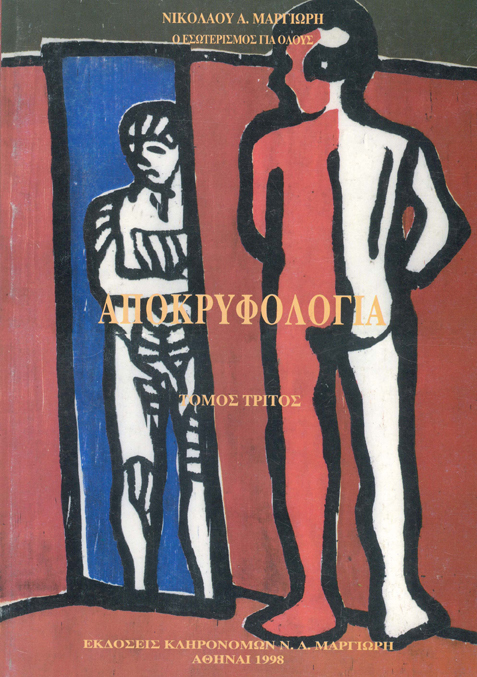 Nikolaos Margioris was born on the island of Samos in the village of Vourliotes on the 15th of December, 1913. When he was 13 years old, he attained Samadhi-Enlightenment for the first time. He was educated in India and in Tibet for almost 13 years. He lived with his relatives for many years in Alexandria of Egypt where he pursued his studies and made his career. He married Laitsa Papandreou with whom he had two children, Andreas and Kalia. He fought in World War II as a reserve officer in the Sahara Desert where he was wounded in El Alamein and in Rimini. For his services to the country, he was honored with many medals (among them the Big Cross) and with a veteran’s disability pension. Also, he was honored twice with the Cross of Saint Mark for his contribution to the Church by Christoforos and Nikolaos the 6th, Patriarchs of Alexandria. Apart from Egypt, he also taught in Greece from the first day of his arrival in 1958 until 1993, when he departed. He wrote books and essays, he circulated a journal and he created a cycle of studies by correspondence courses. He considered Metaphysics to be the only Truth and believed that man can attain Truth as Socrates did through his famous MEDITATION (DHARANA-CONCENTRATION) or through Religious Mysticism (Christocentric and Christocratic Mysticism). All his teachings, his books, his essays, his studies in Esotericism come and emanate from his deep Mystic experiences (Nirguna Samadhi-Theosis). Since he was very young, he was a participant in these transcendental states which he managed to transform in an incomparable way and to convey to his students and to the world as Knowledge, advice, guidance, for use, practise, training, therapy and personal experience. His philosophical approaches on Creation, on Truth (God), on the visible, perceptible and invisible, imperceptible Laws that rule the World and life, in general, are expressed with unique fluency, detail, analysis and depth. He also unveiled new Esoteric Revelations as well as presented for the first time a complete and sound Occultist and Mystic view of the Creation of All, using a torrential and overwhelming form of oral and written expression which rivals, without exaggeration – for anybody who knows - that of Apostle Paul, Vivekananda and Pythagoras, whom no obstacle, sickness, or anything else restrained (he came close to death at least three times). On the contrary, he believed in the provision of Everything in full, of continuous guidance, instruction and unceasing Sacrifice and the Exemplification of a prototype that can be described in two words “PERFECT MAN AND PERFECT GOD” without publicity, propaganda and proselytism. And certainly with absolute respect for the freedom of every potential seeker. He was a faithful soldier of our Lord Jesus Christ, a ‘TRUE RAVI-CHRIST’ and also His imitator, having always followed His Work and His Teachings, reviving it once more in our society of today. 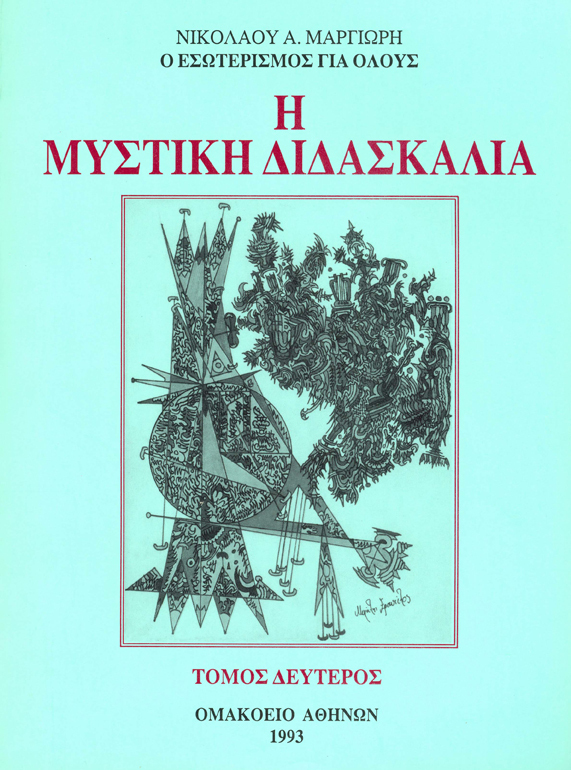 After 23 years of Metaphysical publications (1970-1993), he wrote 33 books of clearly Esoteric subject-matter. He also published 33 special essays on different esoteric matters and circulated the first purely metaphysical journal Omakoio in our country which included incredible and unprecedented Metaphysical analyses and helped popularize the subject. He created a field of studies through correspondence courses under the name ‘Esoteric Key’. In this field, the students received instruction characterized by a deep, theoretical and practical Esoteric analysis in the following courses: MEDITATION, HYPNOTISM, ORTHOPSYCHISM, ESOTERIC PHILOSOPHY, ESOTERIC THERAPEUTICS, ASTROLOGY-ASTROSOPHY, ESOTERIC INITIATION, SCIENTIFIC SPIRITUALISM, DESYMBOLISM. Every three months, he held seminars in SHIATSU lasting for many days in which he himself not only taught SHIATSU but a lot of other Esoteric therapeutic systems among which were also his own discoveries whose therapeutic potential is immense and whose success rate surpasses 80%. From the LEFT PALM of the hand, he identified the main terminals of certain internal organs of the human body. (N. Margiori’s Discovery). FINGERTAPPING: It is a rapid method of stimulating the whole organism, the cells and the endocrine glands to secrete new hormones and heal the ailing person. (N. Margiori’s Discovery). HE REVIVED and used the ancient Greek Asclepian kneading-massage method that Asclepius, the father of Medicine, invented and applied in ancient times in the Holy Sanatoriums of Ancient Greece (Asklepiaia and Amfiaraeia). SUGGESTIVE THERAPY through heterosuggestion or autosuggestion. Revival and presentation by N. Margioris. SLEEP THERAPY or otherwise Hypnotism-Orthopsychism or Technical Sleep - three scientifically complete methods. Presentation by N.A. Margioris. RELIGIOUS EMOTIONAL REQUEST by the side of the patient. Presentation by N. Margioris. 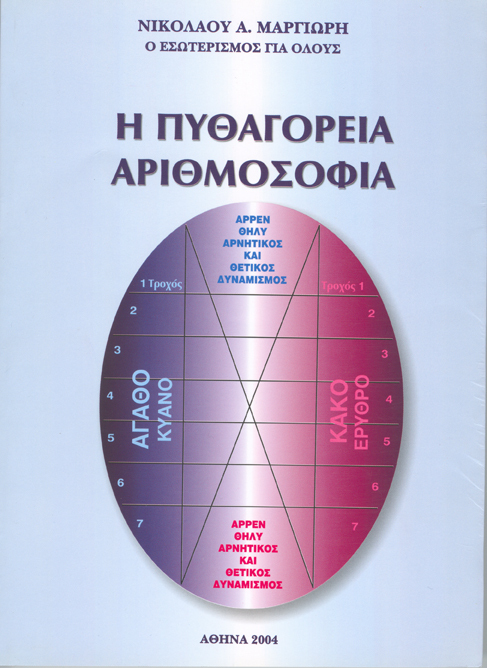 JAPANESE SHIATSU - Fingertapping (classification of Shiatsu by Master Nikolaos N. Margioris. 186 diseases are classified into 23 groups, each with their general as well as individualized therapeutic methods). Classification and Presentation by N. Margioris. METHODICAL STIMULATION of all the Endocrine Glands (chakras) for remedy. 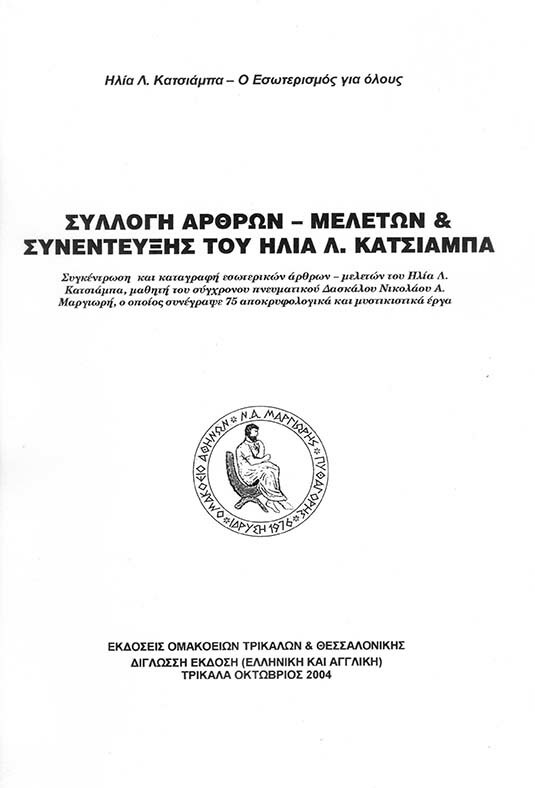 Nikolaos A. Margiori’s method. BIOENERGETIC INFLUENCE on the 33 vertebrae of the vertebral column for the therapy of 193 diseases of the human body. N. Margiori’s method. STATIC Therapy with the hands-palms. N. Margiori’s presentation. KINETICS Therapy with the hands-palms. N. Margiori’s presentation. REFLEXOLOGY or reflexive zonotherapy. N. Margiori’s presentation. ICONOPLASTIC therapy from near or far. N. Margiori’s method. HECTOPLASMATIC EXHALATIONS OR HECTOPLASMATIC EFFUSIONS- N. Margiori’s method. MANTRAMOTHERAPEUTICS. Remedy with Power words. Presentation by N. Margioris. TRANSFUSION OF ENERGY, healthy vibrations. Presentation by Master N.A. Margioris. ATTENDANCE of Litanies or Liturgies. HOLY ZEAL. The reinforcement of unshakeable Faith in any Ideal or Belief that vibrates man internally and creates the preconditions for the elevation of his vibrations in order to restore his health. KRIYA YOGA. Method of Somatopsychical Therapeutics. It contains physical exercises-postures in combination with special breathing exercises for the revival - remedy of the body and mental exercises of comparison for the release of man from every kind of repressed emotions, phobias, passions, etc. Revival and Presentation on a universal level by Master N.A.Margioris. KUNDALINOTHERAPY. Through the exhalations of Kundalini or/and by its awakening. RAJA YOGA, 8 stages-steps of therapy of the body and of the Mind (scientific-psychological method). Ethicoplasm of man, therapeutic positions according to the problem, manipulating universal energy (prana) and supplying it to the organism through proper rhythmical breathing for prevention or therapy, retaining the life force that we have within us and preventing its purposeless waste, directing it toward higher purposes, steady concentration on one and only thought-target-ideal for 12”, its extension to 144” (meditation, internal identification with the target) and, finally, with the extension of the sole-thought for 1728” we come to the complete therapy of body and Mind, the Union-Enlightenment-Harmony, Full Consciousness of man. MIXTURE - COMBINATION of many of the above Systems. These are some of the most important, effective yet innocuous Esoteric - Physiotherapeutic Systems, some of which have been scientifically validated and are taught in universities abroad, while many others are being studied for the positive effects they have on the human organism. Apart from teaching the Therapeutic Systems, he used to provide therapy, as did those of his students who had been trained. At the same time, he operated a school of KRIYA YOGA where instruction was undertaken by the first female teacher of Kriya in Greece, Mrs. Smaro Kosmaoglou, who had been instructed by Master Margioris himself. He also ran a weight loss school using the system of Atmoliquefaction (his own invention). He also taught the Genuine and Complete RAJA YOGA, as well as all the systems of YOGA: Hatha, Kriya, Mantra, Karma, Bhakti, Jnani, Tantra (Kundalini), as well as ESOTERIC PHILOSOPHY - THEOLOGY, KABBALAH and ESOTERICISM (OCCULTISM AND MYSTICISM). 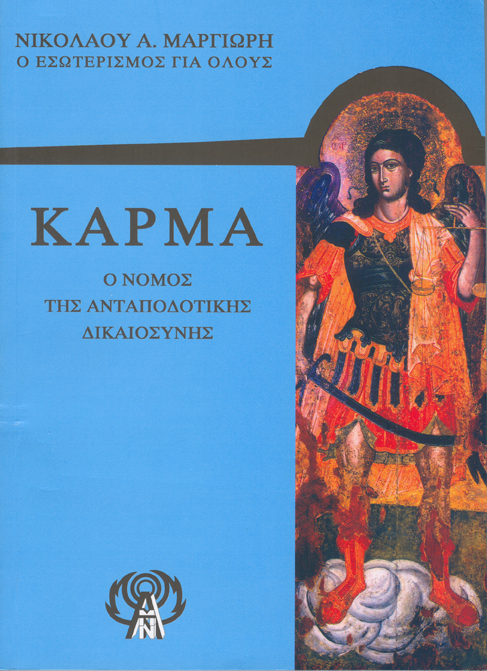 He did all his teaching and other activities from his seat in the Spiritual Philosophic Laboratory which was established in 1976 and was called “OMAKOIO OF ATHENS”, in memory of the OMAKOIO that Pythagoras created for the first time in Croton of South Italy. 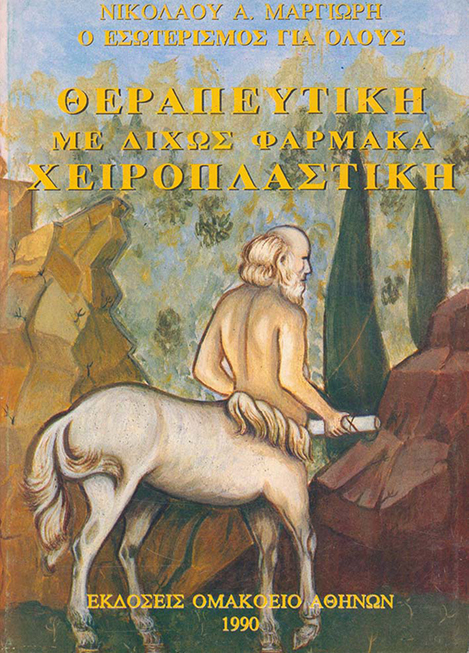 In 1972, he founded the Association “THE PIOUS PILGRIMS OF THE UNBUILT LIGHT, ST. PATAPIOS”, where he regularly delivered free lectures on various Esoteric topics. He was a Permanent and Indefatigable Worker and Guide of the Good and Perfect, a Continuous and Inexhaustible Source of Divine Knowledge. The above are written as the smallest homage that we, his students, could render him, promising to continue and spread the legacy he left us. 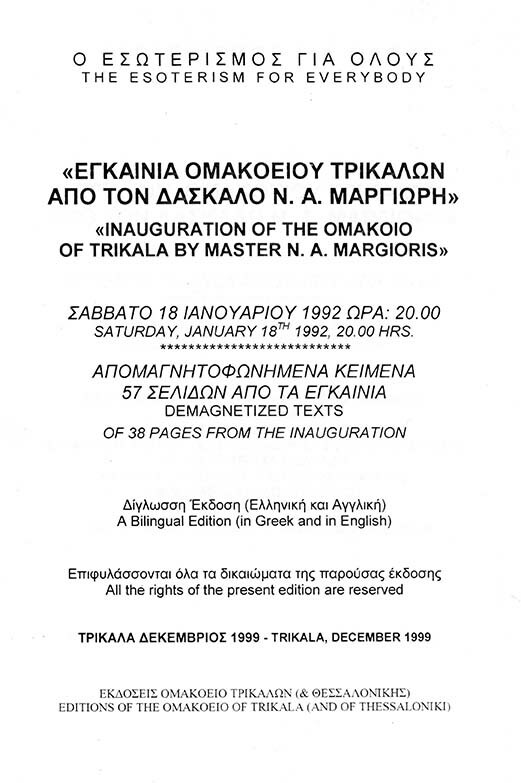 NOTE: The above presentation of Master Nikolaos A. Margioris' personality, life and work was written by his student, Ilias L. Katsiampas (on behalf of all the students he taught during the last decade). In the beginning, the Master's biography was sent, on the writer's initiative, to foreign guides of metaphysical organizations and to different other metaphysical movements abroad. Then, after the Master's death it was revised and completed correctly by his student and the writer of this book and it was published for the first time in the metaphysical journal Third Eye in issue 28 of September 1993, four months after his departure. 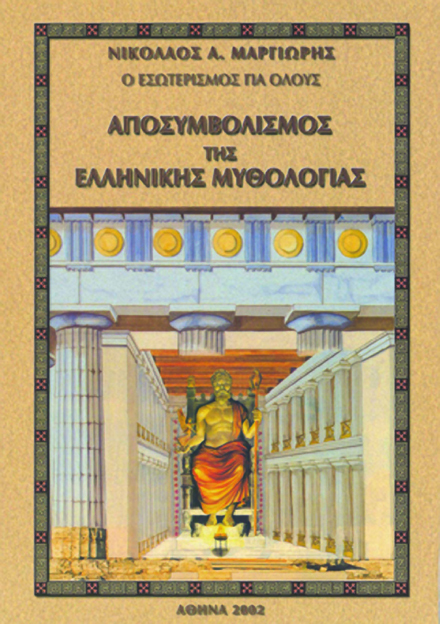 Afterwards, it was included in the 3rd Volume of the Master's work Mystical Teachings that was published in 1994, as well as in the republished editions of the books The Other View of Erich Von Daniken's Dogma and Dravidians, the Ancestors of the Greeks, The Secret of Hatha Yoga, The Reign of Minos, the Great King of Crete and The Chiroplastic Theurapeutics of SHIATSU, VOLUME 3. 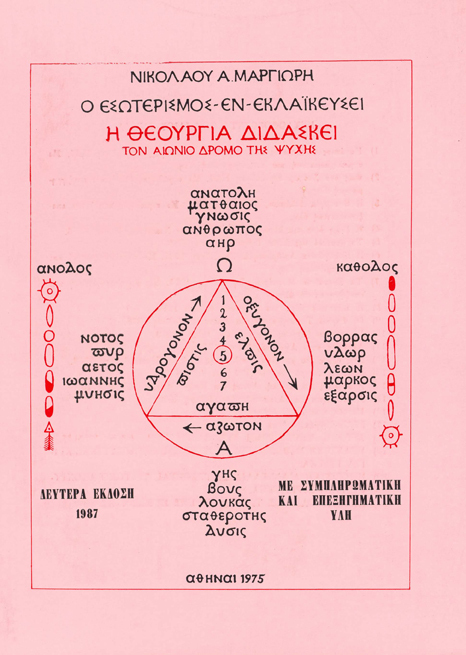 Master Nikolaos A. Margioris was an Occultist (Occultologist), a Christocentric and Christocratic Mystic, a Modern, Genuine Initiate and Spiritualist. He is the Master of Masters who silently, prudently and with unprecedented Convergence - Unity - Homogeneity of Work, Autogenous Perfection and a Uniqueness of Revelation and Rendition, exposed to the eyes of his students and to the common experience of every seeker as well as to the whole world (Esotericism for All) the Hyperintellectual (Spiritual) COMPLETE and Perfect Mystic Experiences - Messages of his Soul, his Spirit, of the Source-Truth-God itself, through his 189 books and his teachings. 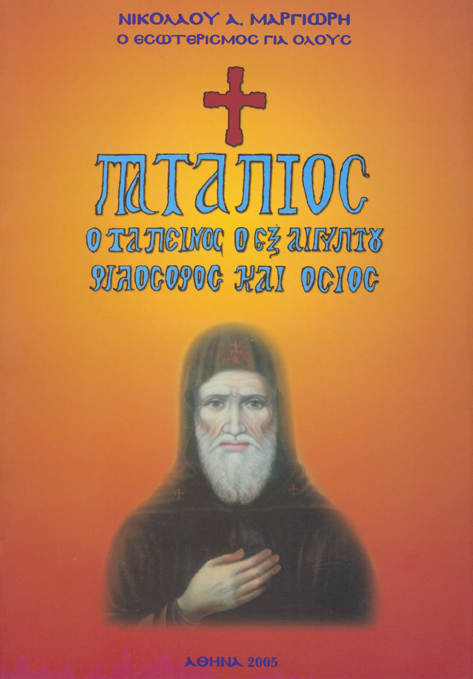 We are talking about the Greatest (extremely Rare) Esoteric and Greek-orthodox Radiating Personality of such Grandeur, Range, Caliber and prolificity, a creator of a Concise and Pure Spiritual Work that seems to be unprecedented and incomparable in our days, not only for Greek standards but also on a Universal level. Were someone to attempt to “capture” in written word his preserved oral traditions and his extensive “inexhaustible” dialogues that only we, some of his students of the last decade, know, they would easily surpass the 1000 Substantial Esoteric Works (most of them expressed for the first time and revelatory in nature). Certainly, were we also to calculate what has not been preserved or what we could not trace or other oral deliveries whose fate we are ignorant of (in Greece or in Alexandria where he lived for many years), then, of course, they are countless (they may surpass the 5000 spiritual works; the number of works that Orighenis is said to have written). We are certain that future generations will search with particular fervor, persistence, care and difficulty for evidence, fragments, aspects and details of the person and the work of a True Modern Initiate who walked among us and who was SO giving that ultimately the people of the future, being more mature spiritually, will recognize, will “worship” and will follow with great zeal and a feeling of real respect and duty. The reader can find some information about his person in the only public interview he agreed to five months before his passing, in the metaphysical journal Third Eye, issue no. 28, December 1992, where he revealed himself in public. He who is interested will find two more presentations-reports of his life and his work in some recordings made by the narrow circle of his students in the Third Eye, September 1993, issue 28 (it is published above) and May 1994, issue 35. Some of them are also re-published in his books that were re-edited. 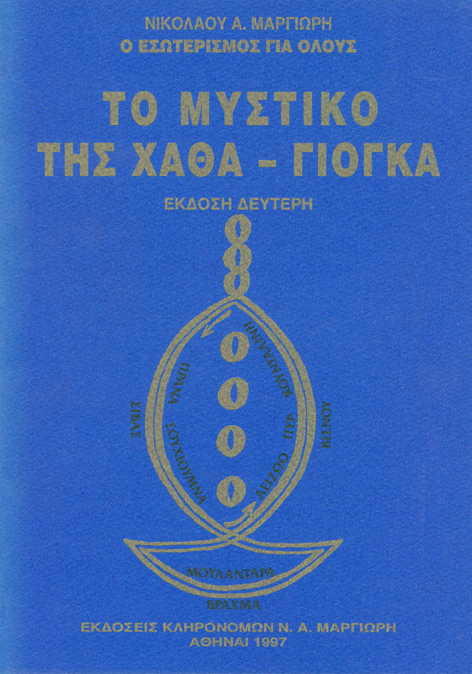 In the book of the director of the Omakoio of Trikala under the title From the Master’s Mouth to the Student’s Ear, with a thorough glossary of Sanskrit (philosophical dictionary of 400 words) for the students of Yoga and of the Esotericism one can find all the above presentations as well as a more recent one. Finally, in the 3rd Volume of Occultism, an important new presentation about the Master is included. 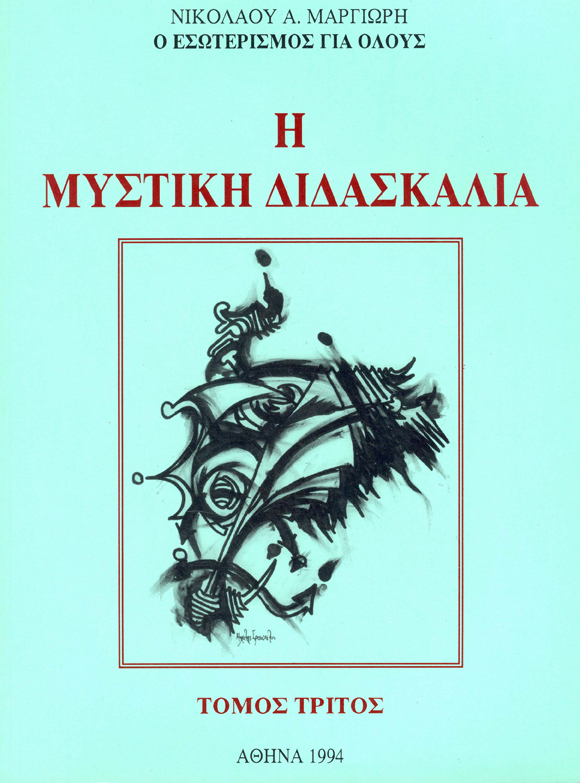 His student, Ilias L. Katsiampas, is working on a more extensive and complete presentation of the life, the personality and the work of the Master that will include even more aspects of his passage through our world and his Esoteric Work that he left as a legacy of Knowledge and Instruction for the future generations who will evolve within the framework of Mysticism (Philosophical, Gnostic and Religious). 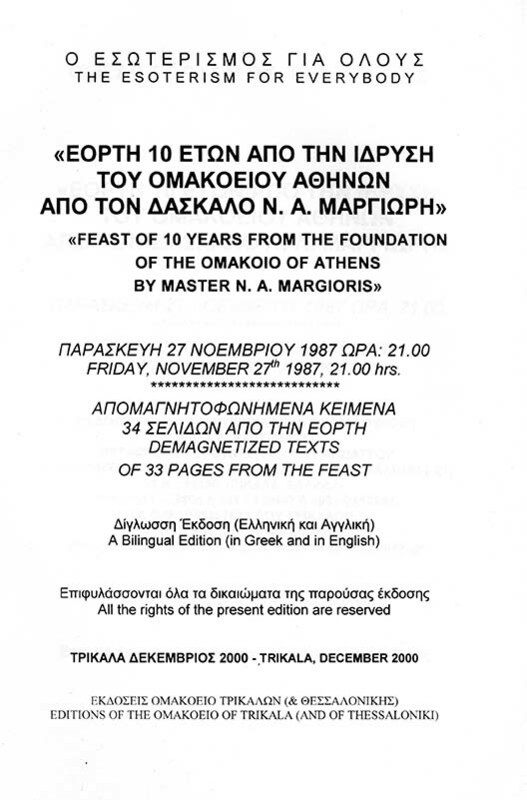 Those who were fortunate enough to have directly or indirectly known Master Nikolaos A. Margioris from his early years in Greece or before that when he lived in Alexandria of Egypt or/and in India and who consider that they have additional testimony or more information about his personality and his work are requested to come into contact with us and if they wish, to notify us, so that the new Biographical Note which is being prepared by the director of the Omakoio of Trikala may have greater detail in its analysis of the events of the life and the activities throughout the course of His life, so that his life and His work can be more completely depicted. 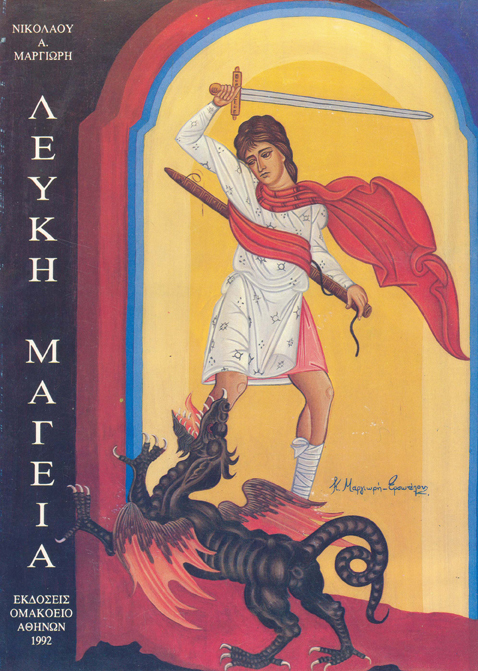 First of all, we should mention that Master Nikolaos A. Margioris had some Esoteric Experiences when he was very young. But His first Complete Theosis - Enlightenment took place when he was 13 years old. Throughout the course of his life he often experienced Liberated Mystic Ascensions-Experiences which lasted from very little or extensive earthly time. However, the longest one in duration and the greatest in Esoteric Spiritual Completion was the one that lasted nearly 30 days, during which he not only traveled the entire Esodepth of Creation, with the help, accompaniment and guidance of Jesus Christ through whom he was able to approach the Inner Darkness of the Father, but also remained, within the place-time limits of the 30 days, in continual Contact with and the recipient of Supreme Knowledge and Wisdom concerning the Divine Meaning of Omnicreation, the highest Beings that supervise it and the General Divine Plan which Commands and Preserves it from one end to the other. During this Complete Integration - Brilliance - Theosis - Blending with the Divine Hyperreality, he conceived the One Hypertruth of All and the way in which it “splits” Its Powers “Exhaling” Omnicreation, the Laws with which it Supports it and the Beings that look after it, the Divine Order according to Melchizedek that corresponds absolutely to the Divine Orders and permeates with its Spiritual Energism All Expression and reaches the human spirit-souls that he created in his image and likeness and that have the great privilege of Direct Communion with Him, through Jesus Christ (“I and the Father are one”, “You are my brothers, what I do you can do as well”), provided they are prepared to regain spiritual sight. They will abandon the interests of the temporary in order to find the Unchangeable and Eternal Divine interests. He managed to convert all that is resplendent and of higher Meaning, Value, Virtue and Knowledge; the Hyperlaws and Permanent Immovable, Invisible Channels of an Indivisible flow of LOVE that contain both the Creator and the Creatures into a Uniquely Full and Pure way of conveying them to the expectantly anxious human Logic so that it could grasp –as much as possible - the Divine Acts. Such Hyperevents of Outstanding human Beings, who apparently have a Special Divine Mission, who emerge into a TOTAL and EXTENSIVE ENLIGHTENMENT-THEOSIS, who even manage to BRING IT DOWN TO EARTH in an Unrivalled and Pure way using the Contemporary and Absolutely Comprehensible Word, appear very rarely, especially nowadays, and Summon-Invite us to Take Heed and to study scholastically and critically everything they bear witness to. For this reason, it is wise for us to approach Their Works with healthy-pure critical thought and especially with great Respect, Humility and Sincerity. So as to inform whoever is interested in “Margiori’s Apocalypse” we quote the brief summary and the contents of his book The Birth and Death of the Worldsand the Beings(matter-antimatter-hypermatter, universe – antiuniverse - hyperuniverse) in which he “exhausts” within all possible human limits, for the FIRST TIME on our Planet, the Greatest Topic of all Times and Peoples of the Earth, the Eschatological issue, conveying Whole Parts of the Transcendental Divine Truth (of the Divine Plan) to our Dimension and to our three-dimensional reasoning. 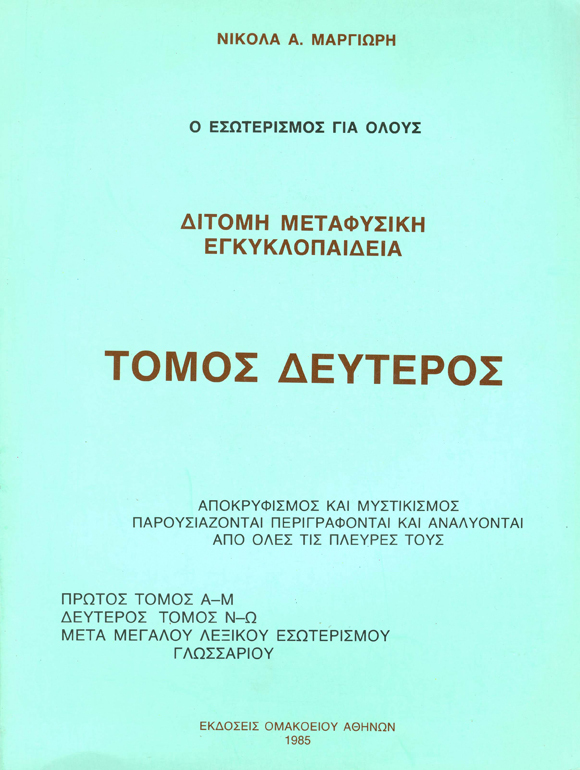 The Birth and Death of the Worldsand the Beings (matter-antimatter-hypermatter, universe-antiuniverse- hyperuniverse) is the tenth of the approximately 189 books of Nikolaos A. Margioris, with the first edition in 1979 and the second edition in 1990, with complementary and explanatory material. 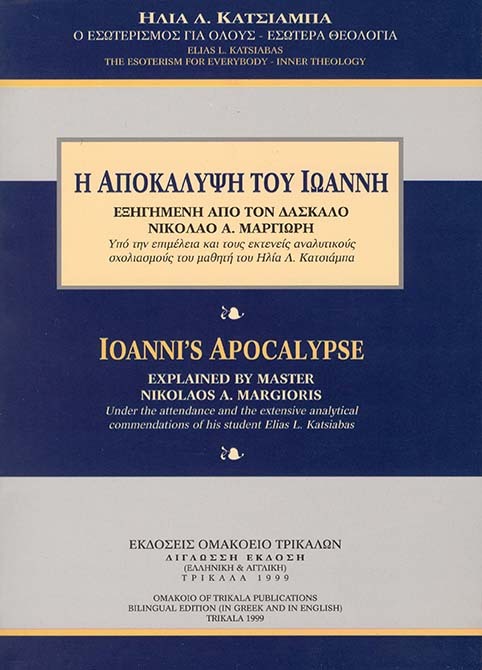 In this work, the author gives a completely Personal answer to the Great matter of all Times, the COSMOGONIC-ONTOGONIC and the ESCHATOLOGICAL MATTER. His mystical soul reveals its Deep Experiences and tries to give the Answer, using the Mind and the pen as a means for the hyperintellectual and the hyperconscious events. Based on these, an Eternal Creative Circle unfolds, one that is Coordinated and Created by the WORD that in our human language is called Jesus Christ. In the said transcendental work, a Deep and Endless series of Visions prevails, combined and reinforced by Nuclear Physics, Astronomy, Astrosophy, Theology and Esoteric Philosophy, starting from the preface and arriving at the epilogue in all its immensity, offering the surprised reader some scenes of Hyper-biblical and Improbable Images. The Birth and Death of the Worldsand the Beings (matter-antimatter-hypermatter, universe-antiuniverse-hyperuniverse) unfolds in the physical screen before the reader who follows and sees that none of the beings that are born in the various worlds of Creation are exempt or escape the Eternal Laws that determine and direct their beginning and their end. Arriving at the end of this book, I quote four texts - Dedications to the Master, which refer to his personality, his work and his actions. The first text constitutes the only public interview that Master gave to the metaphysical journal Third Eye (in December 1992), a few months before his departure. 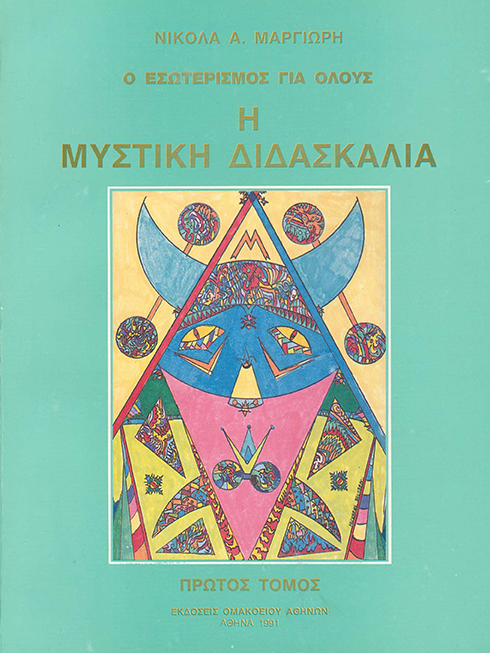 The second text was written by the writer of this book, on behalf of the Master's closest students, after his physical death (6-5-93), as a tribute to his memory and it was published in Third Eye in September, 1993. 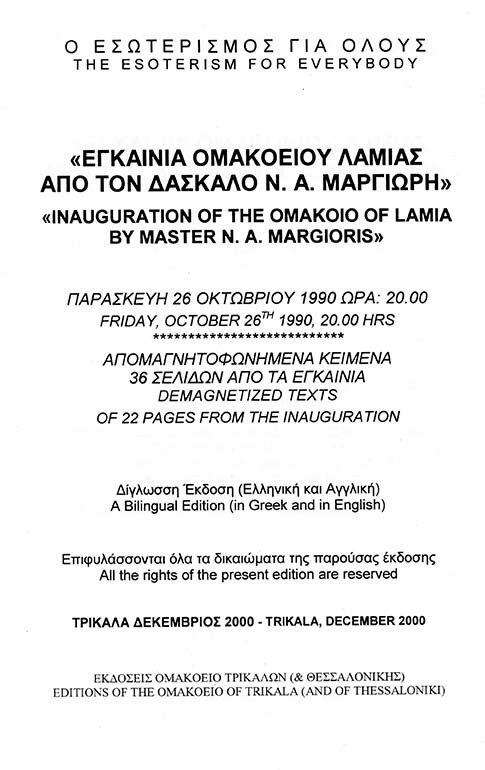 The third text was drawn up by Smaro Kosmaoglou, who is currently responsible for the Athens OMAKOIO, on behalf of all the students of the last decade as a memorial prayer after the one-year anniversary of the departure of the Master and it was published in Third Eye in May 1994. 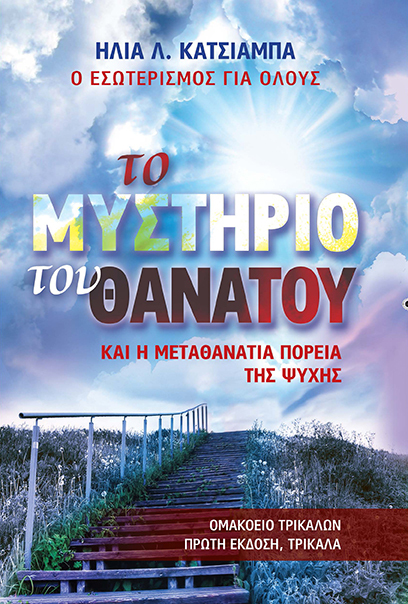 The fourth passage-feature concerns Nikolaos Margioris who was made known as one of the 100 Great Greeks of ALL times in the open public vote held by the Greek television network SKAI TV in 2008. 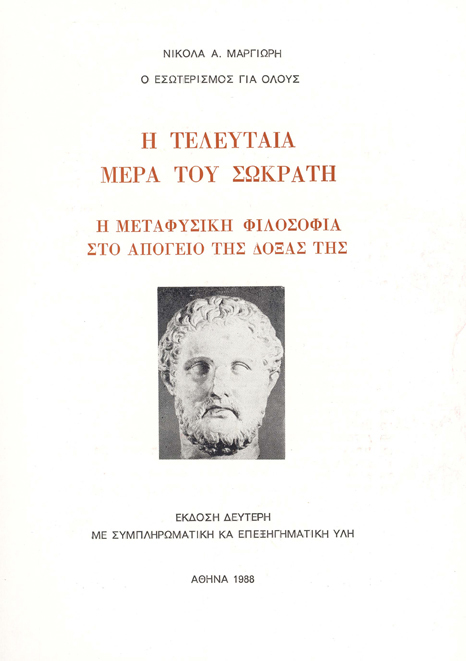 It was followed by the publication of a three-volume set with extensive features on the 100 Great Greeks, including the life and work of N. Margioris, and accompanied by DVDs with the original TV program. 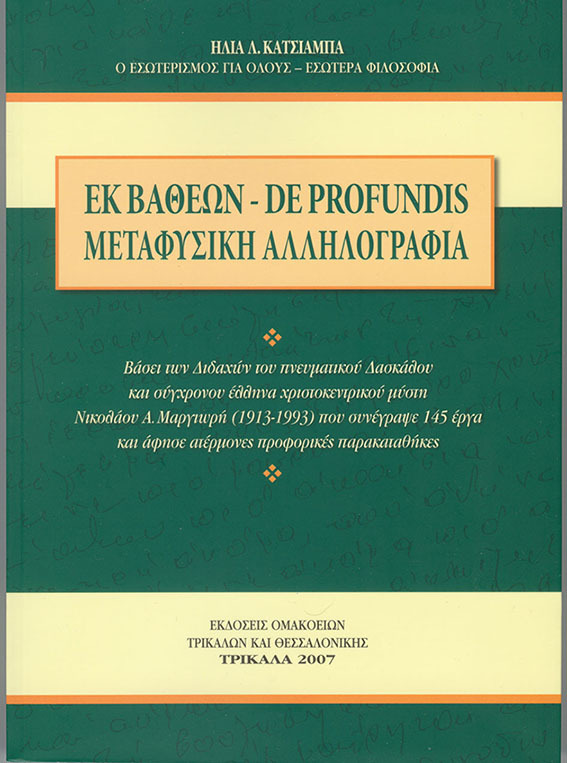 These features were first published in a series of sections in the Greek daily newspaper Kathimerini. 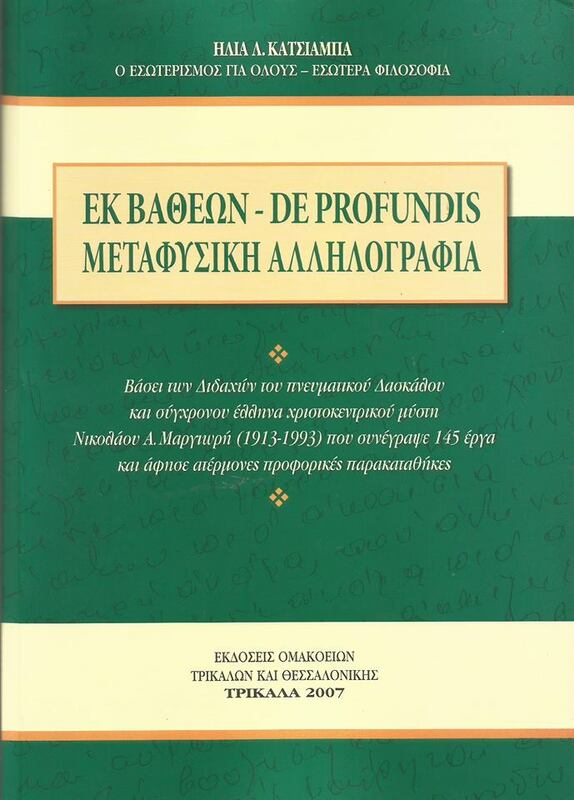 The feature concerning the Modern Greek Philosopher and Mystic Nikolaos Margioris is republished in this book. This chapter of Dedications to the Master closes exactly in the same way as the book begins, that is, with a letter. It is a letter from a female student and it is addressed to her Master wishing to pay, on behalf of everybody, a last tribute of appreciation, of respect, of love and of gratitude that we all feel for Him. Through this spontaneous, internally-incited work – recently written (9-11-1995), a little while before this book was published - a great big THANK YOU is expressed to Him, for all that we gained from Him and for all that he instilled and inspired in us. Pythagoras and Omakoio. Two titles that immediately bring ancient Greece to mind. 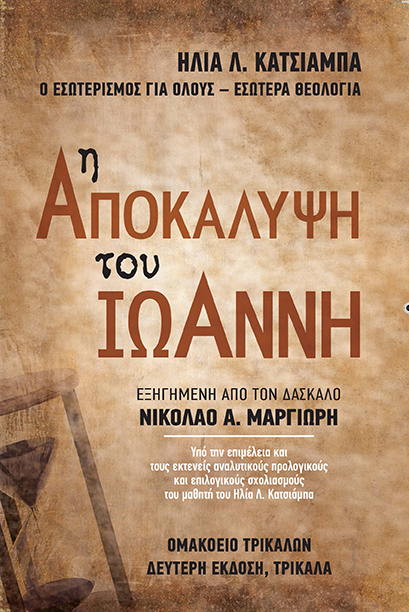 The man in charge, Nikolaos A. Margioris, the last representative of the ‘old’ esotericists feels a deep love for ancient Greek philosophy, combining it with eastern and Christian elements. He is the nearly-80-year-old Master who has been teaching Esotericism for many years at OMAKOIO (an ambitious title indeed!) and who writes unceasingly. His linguistic style, vivid and direct, compelled us to use his words exactly, without our intervention. “I was born in 1913, on the island of Samos, in the village of Vourliotes. When I was very young, I left for Egypt. But I had very frequent contact with my island. I studied in and graduated from many schools, in Greece as well as in Egypt, until the moment, I went to India where I studied Archaeology. There I was also initiated into the Hindu Philosophy and especially in Yoga and other matters, but to a higher and slightly superior level than the other people. When I returned to my country, the war between Greece and Italy had been declared. I fought in the Sahara Desert, I was wounded in El Alamein and then my brigade went to Rimini. Afterwards, I came to Greece as a refugee and I received the veteran’s disability pension. "The third professor who taught in the School of Alexandria was Admantios Orighenis who followed the line of Klimis of Alexandria, when metapsychosis was called ‘regeneration’. Orighenis believed in it and for this reason, in the 6th century, during a special synod, he was excommunicated. The Orighenian dogmas which are Reincarnation, Karmic Law and the Freedom of the Will were abolished. However, in many books we reveal that Jesus used them at many points. NOTE. : The above interview by Master Nikolaos A. Margioris marks his first and last public appearance, five months before his physical death. At the same time, it is the first official recognition of his personality and of his work by the Greek metaphysical journal Third Eye which calls him ‘The Patriarch of Greek Occultism and the last representative of the ‘old’ Esotericists.’ The interview was held for the journal Third Eye, was published in issue 20, in December 1992 and is republished in the present book. After his recent physical departure from life (on May 6, 1993) and with the publication of the last completed work he left (Mystical Teachings, 3rd Volume), we present a brief biographical note for a first acquaintance of the reader with the Master's life, personality and work. 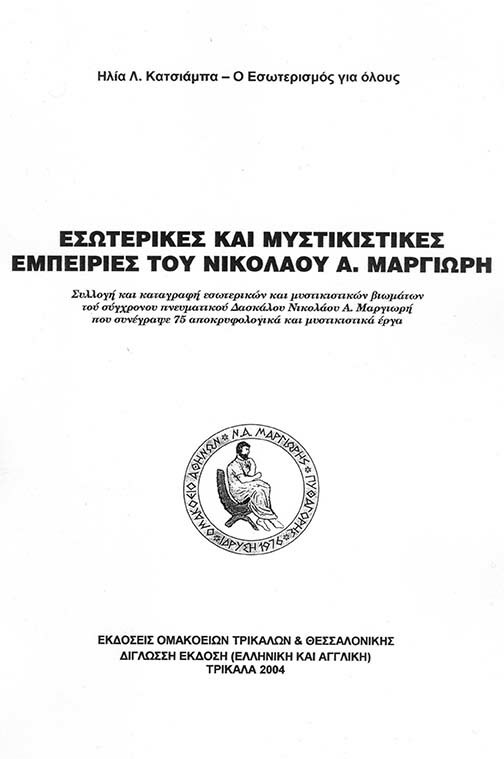 Nikolaos A. Margioris constitutes one of the greatest and most prominent figures in the area of Esotericism (Occultism and Mysticism). 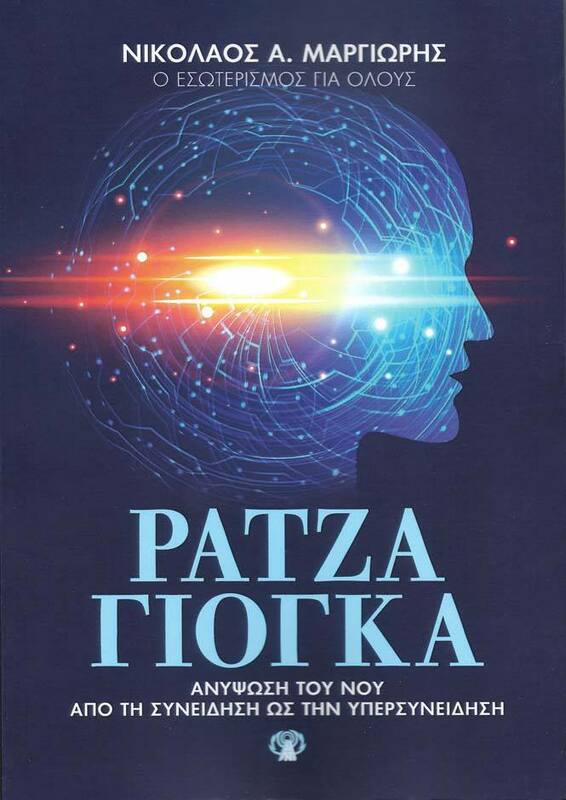 He is not only a recognized, but a fully-experienced Metaphysical Omni-Scientist-Master who was characterized as ‘the Patriarch of Greek Occultism’ in a relevant interview of the journal Third Eye, in its December 1992 issue. This was his first and his last public appearance. He was educated in India and in Tibet for almost 13 years. He lived with his relatives for many years in Alexandria of Egypt where he pursued his studies and made his career. He married Laitsa Papandreou with whom he had two children, Andreas and Kalia. He fought in World War II as a reserve officer in the Sahara Desert where he was wounded in El Alamein and in Rimini. For his services to the country, he was honored with many medals and with a veteran’s disability pension. He was also honored twice with the Cross of Saint Mark for his offer to the church by Patriarch Nikolaos the 6th of Alexandria and Patriarch Timotheos of Jerusalem. 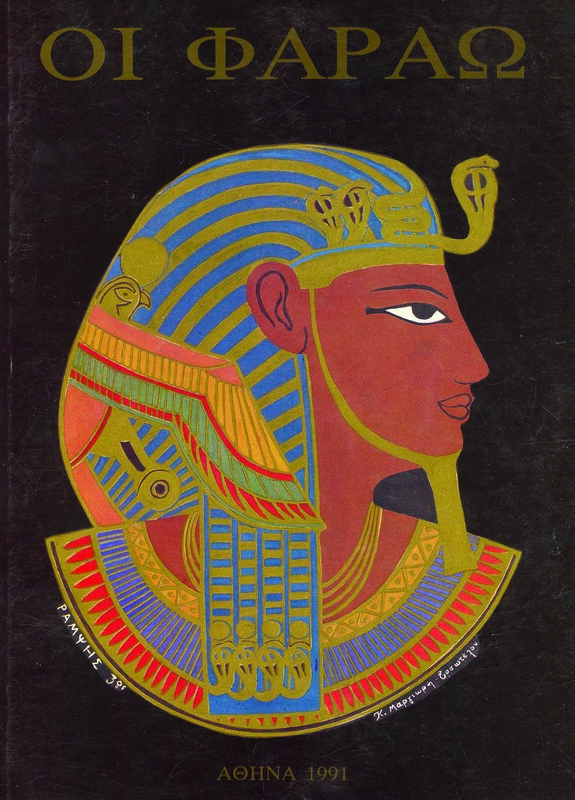 Apart from Egypt, he also taught in Greece, from the first day of his arrival in 1958 and at the same time he wrote books and essays, he circulated journals and he created a circle of students. He considered Metaphysics to be the only Truth and believed that man can attain Truth as Socrates did, through his famous MEDITATION (DHARANA-CONCENTRATION). All his teachings, his books, his essays, his studies in Esotericism come and emanate from his deep Mystic experiences (Nirguna Samadhi-Theosis). Since he was very young, he was a participant in these transcendental states which he managed to transform in an incomparable way and to convey to his students and to the world as Knowledge, advice, guidance, for use, practise, training, therapy and personal experience. His philosophical approaches on Creation, on Truth (God), on the visible, perceptible and invisible, imperceptible Laws that rule the World and life, in general, are expressed with unique fluency, detail, analysis and depth. He also presented for the first time, a complete and sound Occultist and Mystic view of the Creation of All, using a torrential and overwhelming form of oral and written expression, which rivals, without exaggeration – for anybody who knows -, that of Paul the Apostle and Ramakrishna whom no obstacle, sickness, or anything else restrained (he came close to death at least three times). Providing everything in abundance, offering continuous guidance, instruction and unceasing sacrifice and serving as an example of a model that is summarized in two words ‘PERFECT MAN’ and ‘PERFECT GOD’, without any advertisement, propaganda or proselytism was his belief. And he did this indeed with absolute respect for the freedom of every promising seeker. He was a faithful soldier of our Lord Jesus Christ, a ‘TRUE RAVI-CHRIST’ and also His imitator, having always followed His Work and His Teachings, reviving it once more in our society of today. 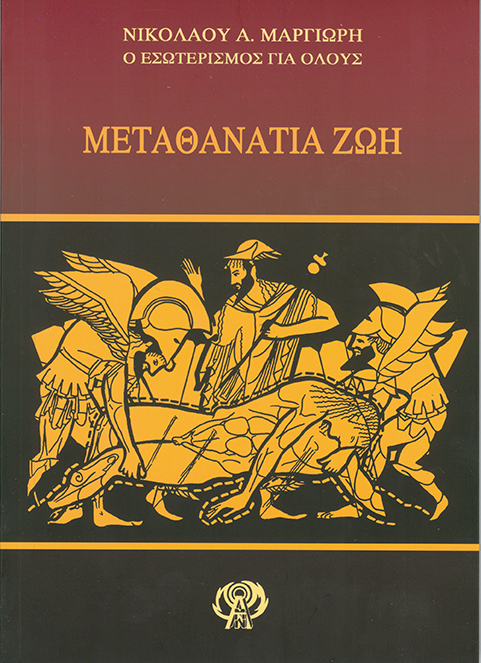 He created an Esoteric Metaphysical Academy in the tradition of Plato and a School (Athens Omakoio). Perhaps he is the new Pythagoras with an immense production of spiritual work. After 23 years of Metaphysical publications (1970-1993), he wrote 33 books of clearly Esoteric subject-matter, with an incredible and unprecedented Metaphysical analysis which led to increasing popularity for those who know the subject. He also wrote multiple essays on various Esoteric matters. He circulated the metaphysical journal OMAKOIO. He created a field of studies through correspondence courses under the name ‘Esoteric Key’. In this field, the students received instruction characterized by a deep, theoretical and practical Esoteric analysis, in the following courses: MEDITATION, HYPNOTISM, ORTHOPSYCHISM, ESOTERIC PHILOSOPHY, ESOTERIC THERAPEUTICS, ASTROLOGY-ASTROSOPHY, ESOTERIC INITIATION, SCIENTIFIC SPIRITUALISM, DESYMBOLISM. 1. From the left palm of the hand, he identified the main terminals of certain internal organs of the human body. 2. FINGERTAPPING. It is a rapid method of stimulating the whole organism, the cells and the endocrine glands to secrete new hormones and heal the ailing person. 3. TONGUE THERAPY. With special kneading, pulling and massage movements on the tongue that have an immediate influence on the muscular and nervous system and on the whole organism for recovery and therapy. 4. HE REVIVED and used the ancient Greek Asclepian kneading-massage method that Asclepius, the father of Medicine invented and applied in ancient times, as well as the sleeping Method (Hypnotism). Apart from teaching therapeutic systems, he himself applied therapies. Also, his students who had been instructed in these techniques applied these therapies. 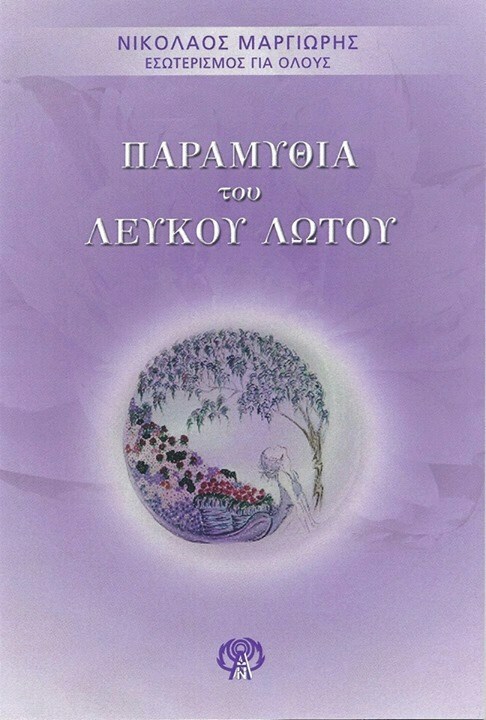 Meanwhile, a school of KRIYA YOGA was established where the first KRIYA female-teacher in Greece, Smaro Kosmaoglou, who had been instructed by him, started teaching. What’s more, a school for Weight Loss using the system of Atmo-Liquefaction (his own invention) was established. He himself taught the pure and complete RAJA YOGA, as well as all the Yoga systems: HATHA, KRIYA, MANTRAM, KARMA, BAKTHI, JNANA, TANTRA, KAMPALA, ESOTERICISM (OCCULTISM AND MYSTICISM). 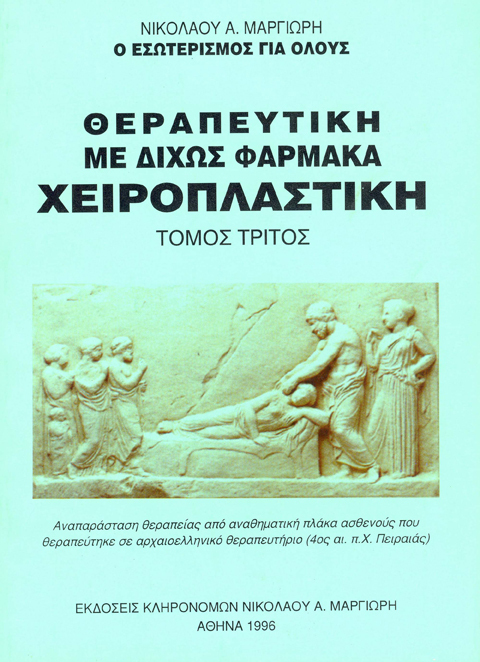 All his lectures and didactic activities took place in his seat, in his Spiritual Laboratory, which, from its establishment in 1976, he called the OMAKOIO of ATHENS in memory of the OMAKOEIO which Pythagoras first established in Croton of South Italy. 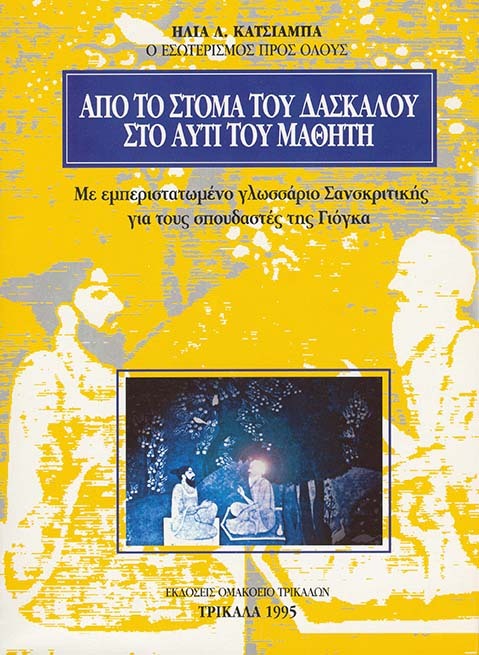 In 1972, he established the Association “THE PIOUS PILGRIMS OF THE UNBUILT LIGHT, SAINT PATAPIOS”, where he tirelessly held free lectures on various Esoteric subjects. He was a steadfast, indefatigable Worker and guide of Good and of Perfection, an infinite and inexhaustible source of Divine Knowledge. The above are recorded as the smallest tribute that we, his students, could pay, promising to continue and spread the legacy he left us. NOTE. 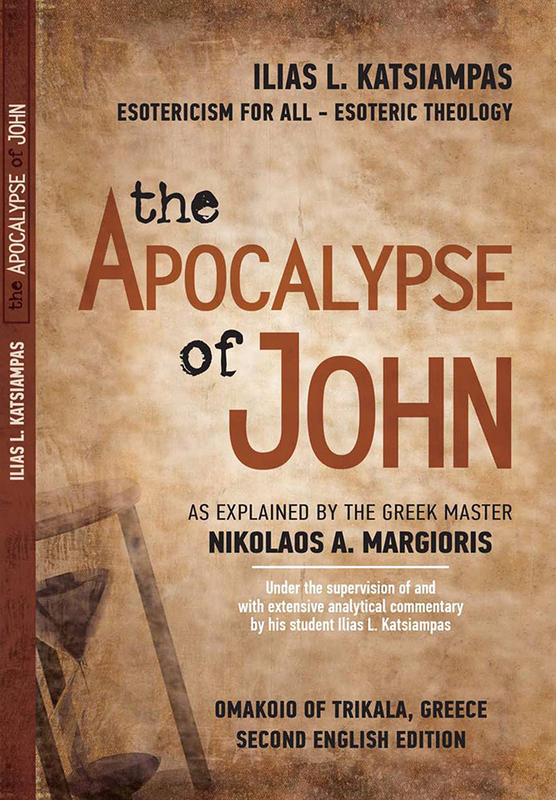 : The above presentation of Master Nikolaos A. Margioris' personality, life and work was written by his student, Ilias L. Katsiampas (on behalf of all the students he taught during the last decade). 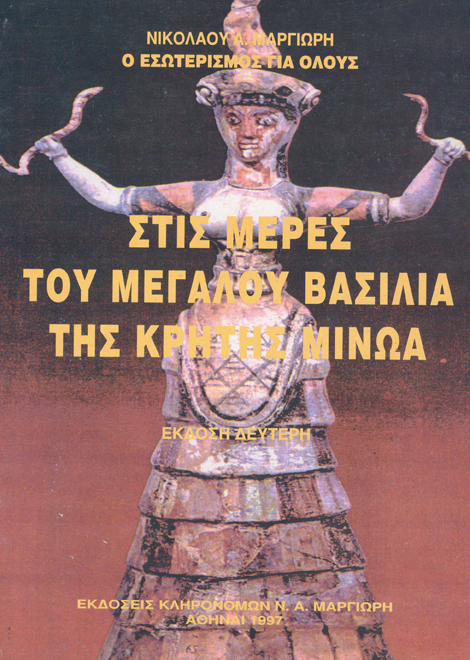 Afterwards, it was included in the 3rd Volume of the Master's work Mystical Teachings that was published in 1994, as well as in the republished editions of the books The Other View of Erich Von Daniken's Dogma and Dravidians, the Ancestors of the Greeks as well as in the present book. 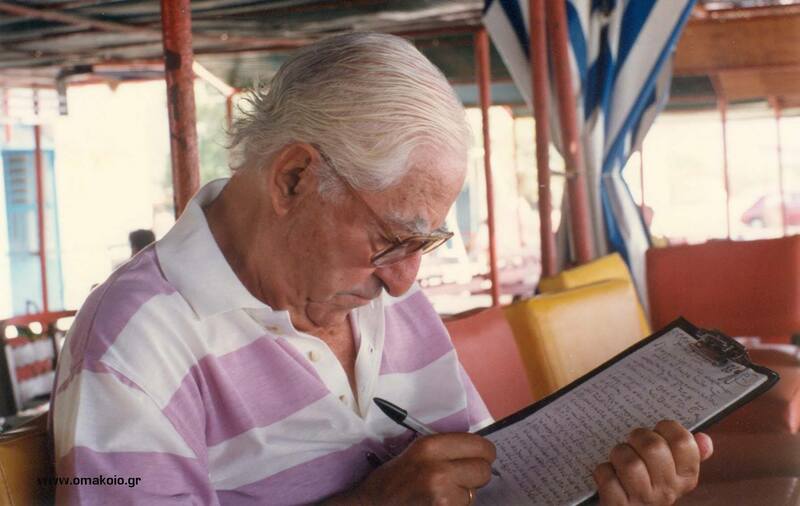 On the 6th of May, exactly one year will have passed without Master Nikolaos A. Margioris. Last year, on this date, this great Master of Occultism as well as of Mysticism, left this world and departed, leaving behind him an immense body of spiritual work. 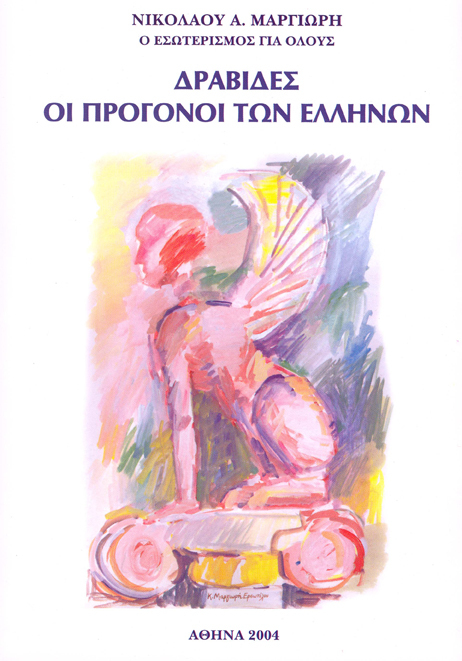 This work of about 33 years of teaching in the Greek area is multi-faceted and multidimensional. But it is mainly separated into his oral instructive work and his written work (see issue 28, in Third Eye). 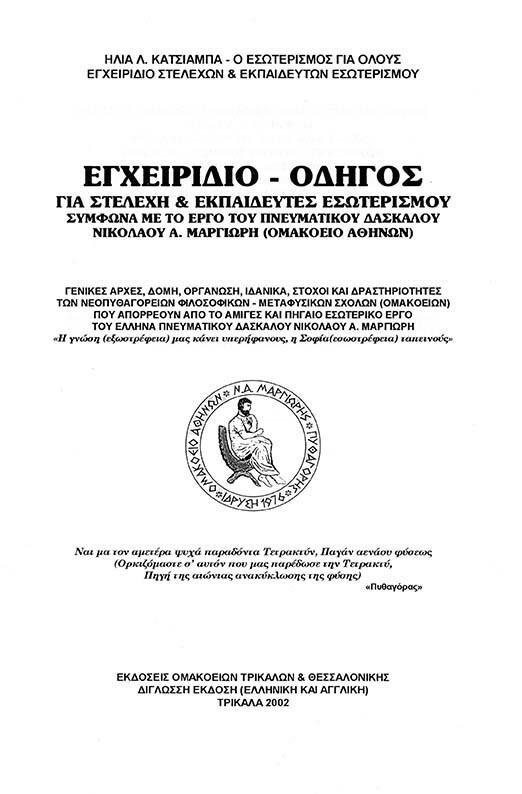 The instructive work includes lectures and courses from the whole Cycle of Metaphysical Philosophy and mainly matters concerning the origin of the souls, the Purpose of their Passage through the World of Form, the necessity for Redemption, but also the way in which the soul is awakened and Despiritualized. He taught Esoteric Therapeutics and adjusted them to the SHIATSU method (finger pressing), he brought back the ancient Greek Asclepian Massage and discovered the Method of Finger-tapping. 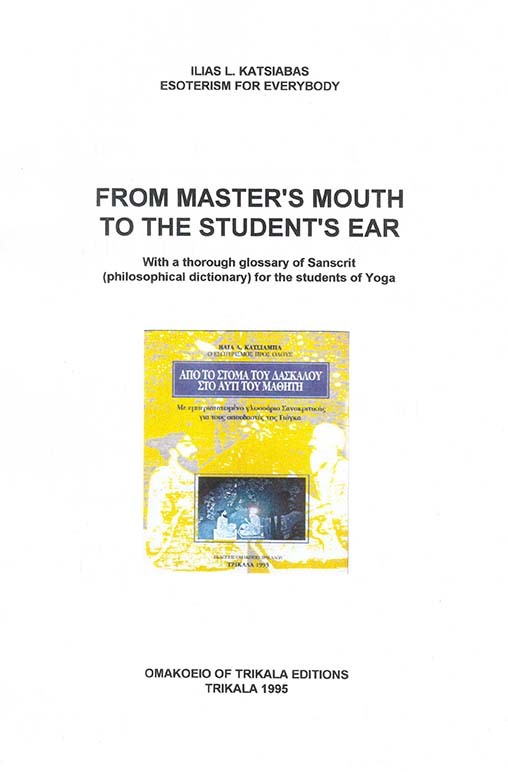 He trained his students in Raja Yoga – the Royal Art or otherwise in Mind elevation from Consciousness to Hyperconsciousness, using the Mind itself with Thought-Will-Imagination or with the Awakening of Kundalini (see book Raja Yoga). He spoke and wrote about the whole ring of Occultism but also of Mysticism. He particularly focused on Christocentric and Christocratic Mysticism (see Mysticism-Christocentric and Christocratic Mysticism) as he was an adorer of Jesus Christ but also His last soldier, as he modestly called himself. But what remains indelible in the souls of all those who sat by his side – and they were not few - mainly the close circle of his students during the last 10 years - is the living example of his way of life; Of his Love for man; Of his endless efforts for man's education. He was an inexhaustible source of esoteric Knowledge but also a living example. He proved that a man, who lived as a simple human being - he himself was a refugee from Egypt and worked hard in his life to support his large family - can be liberated by perfecting himself on a daily basis in expression, in action but mainly in thought. This is achieved by developing true Esoteric Love, a Love that is converted into Creative work for one’s fellow-men, for the Whole, for the entire world, for Generality. He broke the bonds of man from fear and from pain, crushing the egoism that holds him bound to Form-matter. He was a dynamic instructor of the souls who willingly accepted him as their Master. He granted them Internal Bliss releasing them from their small and humble human chains. But at the same time, he broadened the endless spiritual horizons for them, showing them the path the soul must follow in order to reach Redemption (see his last book Mystical Teachings, Volume C). He stood as a true Spiritual Beacon for any soul seeking guidance in finding the Internal Greatness of its true self, of its identification. One year may have already passed since his departure to the Esoteric Worlds, but the bright course he traced for man emerges already in the horizon. He has not ceased directing, guiding and protecting us. We, the group of his students, as the smallest token of gratitude and holy duty, have decided - as He indicated to us one week before his death - to continue his work and to disseminate his teachings in oral and written form. Also, to proclaim the way of life we were taught by him in the Athens Omakoio, as well as in his private institute in Anavyssos, where he built the Temple of his beloved Saint Patapios. It is the Pythagorean bond, the bond of our souls that connects us. We are spiritually united, Master and students, in eternity. Love of God, Love for Man and the evolution of man to the Divine will always unite us. It is a fact that a Master is irreplaceable for the soul of each one of his students. But, after one year, his Omakoio still has its doors open for every soul that is thirsty for Truth, for every soul that is seeking help in healing psychical or physical pain. Perhaps this is the only true memorial service that we, his students can offer him: to continue to teach, to advise, to cure and to spread his spiritual legacy. 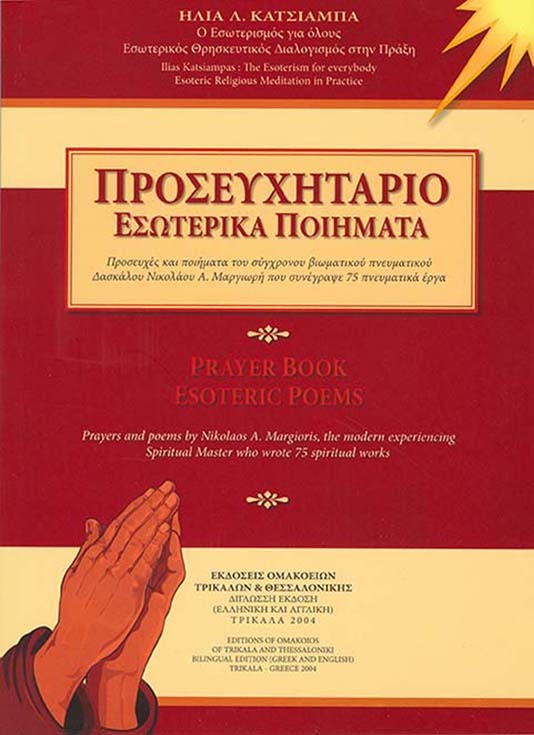 Every seeker can be taught and trained in Esotericism or in Esoteric Philosophy, and can also obtain his 33 books and his numerous other essays and written lectures as well as his journals, in order to form a personal opinion about Master Nikolaos A. Margiori's work and personality. NOTE. 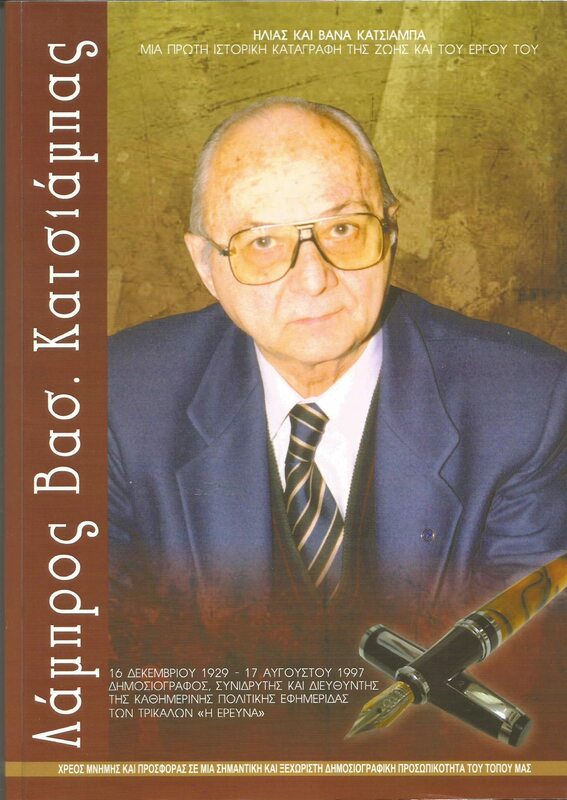 : The presentation of Master Nikolaos A. Margiori's personality, life and work was written by Smaro I. Kosmaoglou (on behalf of all his students of the last decade). It was published in the third issue of the metaphysical journal Third Eye, in May of 1994, exactly one year after his natural death. Looking at your photo today, I felt an intense urge to write something about You. Something simple, plain, that I thought could be included in the chapter of dedications in the present book. I had neither the time nor the intention of composing and editing something special. I just wrote down some thoughts that sprang to mind instinctively, feeling strong emotions and gratitude at the same time. This book is the first work that a close, devoted and beloved student of yours edits. He is the student who literally bombarded you with his endless questions during our meetings. But you enjoyed it very much, since it gave you the opportunity to offer the ‘spiritual food’ all of us needed so generously. I refer to this book as the first one because I feel that it is only the beginning and that sooner or later – it doesn’t matter when - other works of esoteric subject matter will follow, written by your other students (close or far, known or unknown, of today or of tomorrow), inspired by the pulse and by the giving-transmission of your perfect Spiritual Completion, from the touch and coordination of your Vibrating Ray. Besides, you yourself refer to it in your writings, during one of those moments when you brought forth certain... revelations! And it could not be otherwise. You instilled so many things in us. You broadened our spiritual horizons. You emancipated our thought from the closed, restricted and stagnant borders of reasoning. Our Mind was enriched. We became activated. New orientations, new perspectives and new aims appeared. You cultivated our morality and you awakened our Christian element. You imparted this liberation, certainty and feeling of safety that comes from the deep knowledge and understanding of things to us. You activated the lethargic forces within us. You gave us the necessary stimulation so that our miserable soul may be awakened. You sowed your high quality seeds and at a certain moment the time will inevitably come for them to bear fruit. The present book is the first one that has You as its starting point. For this reason, it could only be dedicated wholly to your person, to your esoteric work, to this Superior Being that you represented and represent in Eternity and that few people essentially understood in the end. Nevertheless, even for those who did not comprehend your Esoteric grandeur, you were an excellent, unique Father, brother, friend, guide, fellow-traveler, assistant, MASTER. Could it be the Light that you sent out... the super-abundant Energy that you had and effused... that calmed, soothed, cured, changed everybody around you? Yes! You sent forth Strength, power, vitality, action, serenity and harmony, decisiveness, certainty, justice, honesty, goodness, even austerity when you had to but above all, you radiated LOVE. So much Love... My God, where did you draw it from? And it was so Real that even when you reproached somebody he felt deeply in his heart that you loved him and that you suffered more than he did. Really, how catalytic the effect you had upon the personalities and the souls of the people who met you was! Often, only one glance, one word, one movement of yours was enough! You allowed them to probe and to truly get to know themselves, to expand the operation of their Mind, to replace their evil, cunning and ill thoughts with pure, correct and balanced ones, to become more moral elements, to reject their egoism, to turn towards and help their other ego (their fellow-man), you taught them how to truly love, to justify and to forgive. We, your closest students feel the greatest gratitude since we were lucky enough, - some more and others less, depending on what corresponded to each - to be trained by you, to witness your Esoteric Greatness, to receive and bear important knowledge and revelations of the transcendental Truth of Omnicreation and to acquire the equipment that is useful for our life and for our spiritual evolution. The change that has taken place in our Being, Internal and External, is something more than perceptible. The simplest result is that we lead a much more conscious life today. Master, you were an inexhaustible source of Wisdom, Knowledge, Revelation but also of Inspiration for us. You conveyed to us the message of Hope, the power of Faith. You provided us with such a radiation of Love that we also learned how to love deeply, sincerely, without any self-interest and hypocrisy. You taught us well. Everybody without exception received something from You. Some people took many things, very many things. Some realized it, others not yet. But one thing is quite obvious: All your students ascended one or more steps of the spiritual ladder. 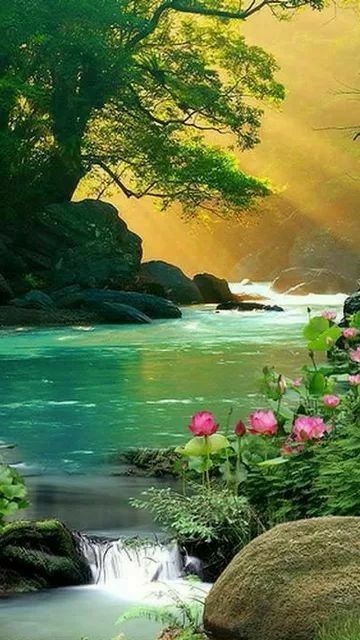 You taught the path of Love and of Truth that you yourself experienced. You clearly indicated the path we were to follow to reach Truth-God. As you once said... before you left... you have explained EVERYTHING to us as analytically as possible, so that nothing else remains for you than to take our hand and to guide us There. We thank you just for having said this. Yes! You nearly did this too! Only the last step remains... the one that depends on our own powerful Will and Faith to ascend it.